Tis the season to be busy fa la la la la la la la la. 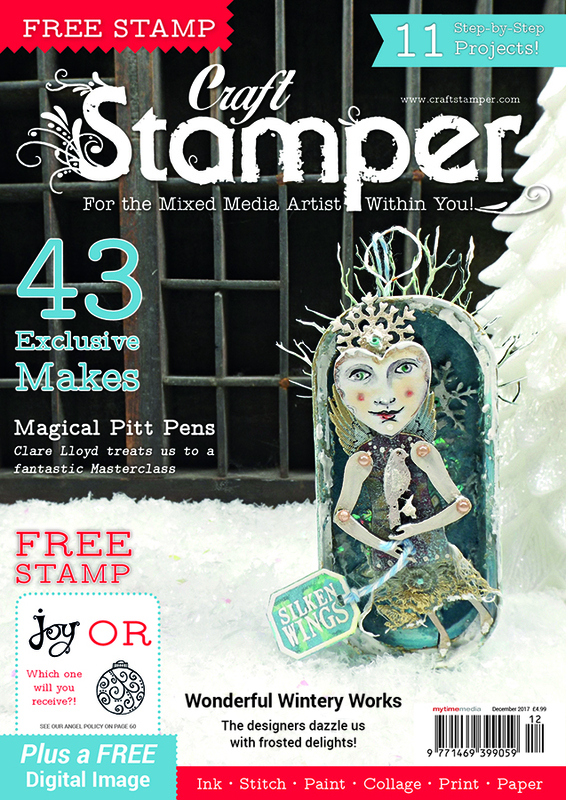 It’s that totally mad time of year again when in fact I’ve already celebrated Christmas and New Year believe it or not, way back in the summer after planning, creating and writing for Craft Stamper and Paper Pen and Plan and here I am again planning and creating again like a crazy woman for an art and craft fair and my December Daily. 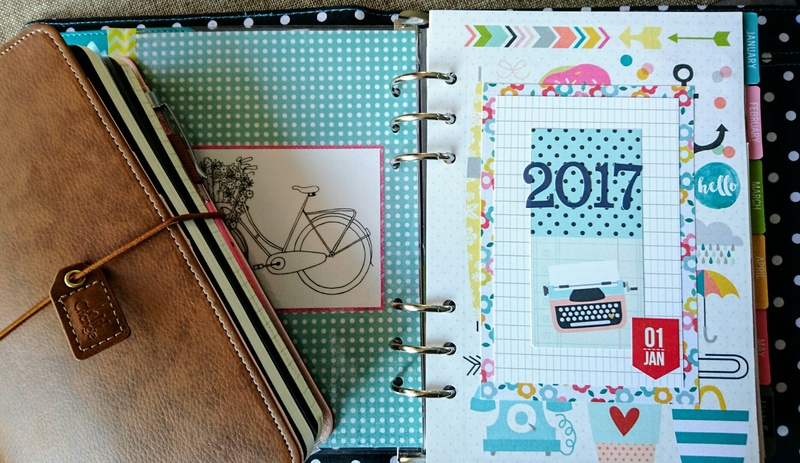 After a few false starts here (I just could not make up my mind which style of DD I wanted to go for this year) and a few abandoned choices I settled on using a travelers notebook style this year. Actually thinking about it I’m pretty sure it was the choice for last years too but that’s only because I totally love the style and format plus the idea of having it tucked in my Websters Pages TN cover appealed very much. 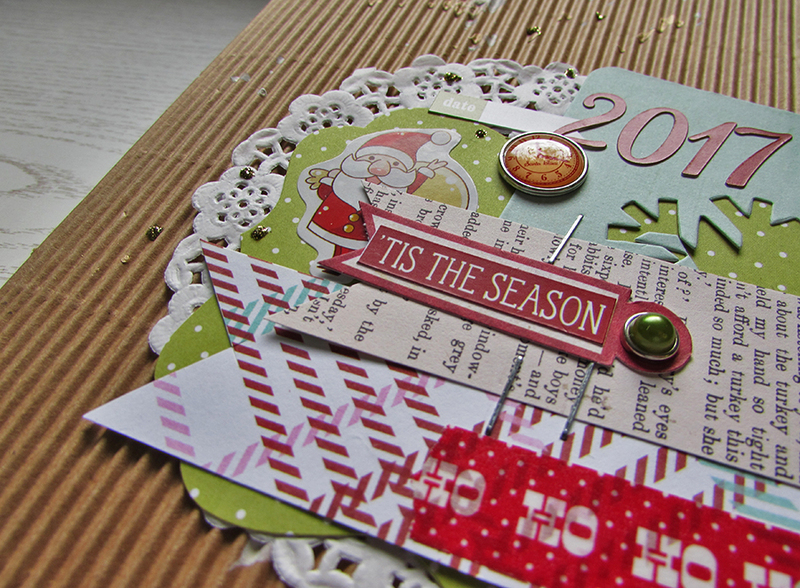 For my cover I’ve used papers and embellishments from both my November Sweet Treat Box from Paper Pen and Plan and some of the bits from the special bargain box which were available way back in the summer. There are still some bits left in the clearance section of the store if you’re quick. 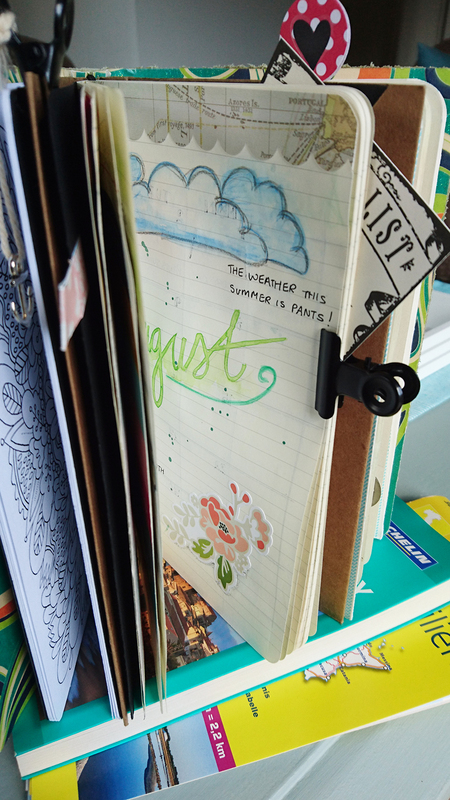 To make my book I decided on a junk journal style for the inside pages. 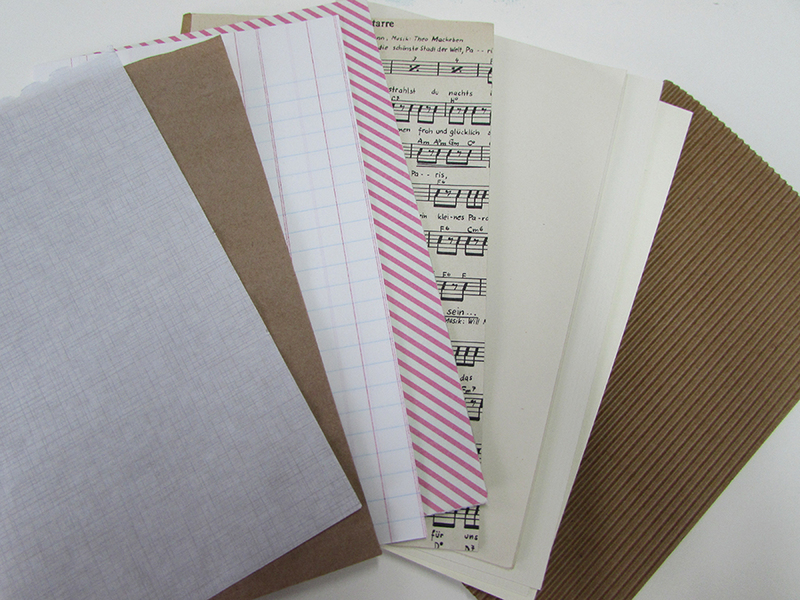 A few randomly chosen papers from magazines, music paper, a brown paper bag and ledger paper were put together and sewn simply down the middle with a long stitch. Not terribly complicated stuff but non the less effective. I can’t wait to glue, paint and sketch inside it. 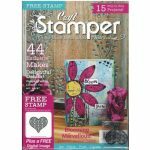 Quite by chance or maybe not, this month in Craft Stamper magazine I’ve an article featuring some planner pages using products also from Paper Pen and Plan and showing off their Sweet Treat Boxes. 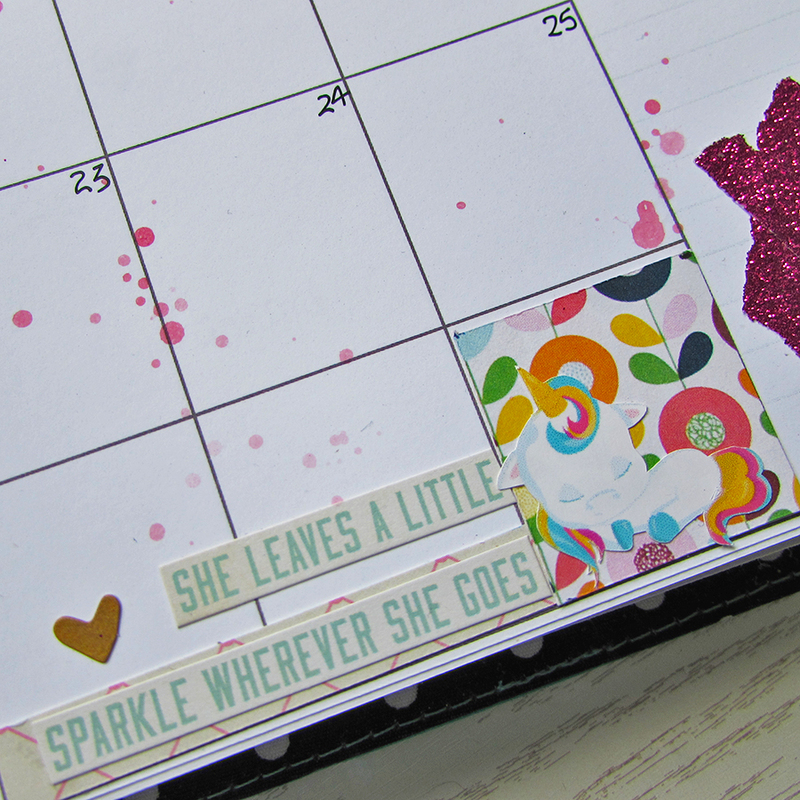 It was a little bit bonkers writing up a planner page for the New Year when it was July but maybe just maybe it’s a little insight into how I hoped to see my New Year panning out. Anyway if you can get hold of a copy in your local newsagents or here online it’s a great read not just for my article but all of the other fab projects inside. Have a wonderful weekend and I’ll see you next week. Focus, it’s a good word. One I use often but totally ignore. I’m one of the worlds worst procrastinators so my to do list just gets longer and longer. I’ve been trying to get through the list this week before I go away at the end of the month but I think I’m finally there. 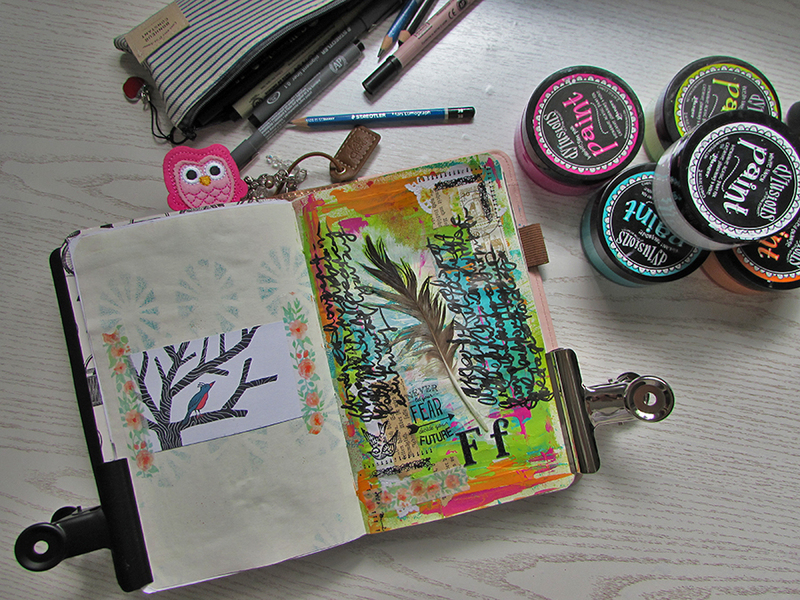 I’ve been so good that today I actually had some time to do a bit of art journaling. Oh I have missed it. I can’t remember the last time I got the paints out and just created something. The starting point was the feather picked up on a walk this week. 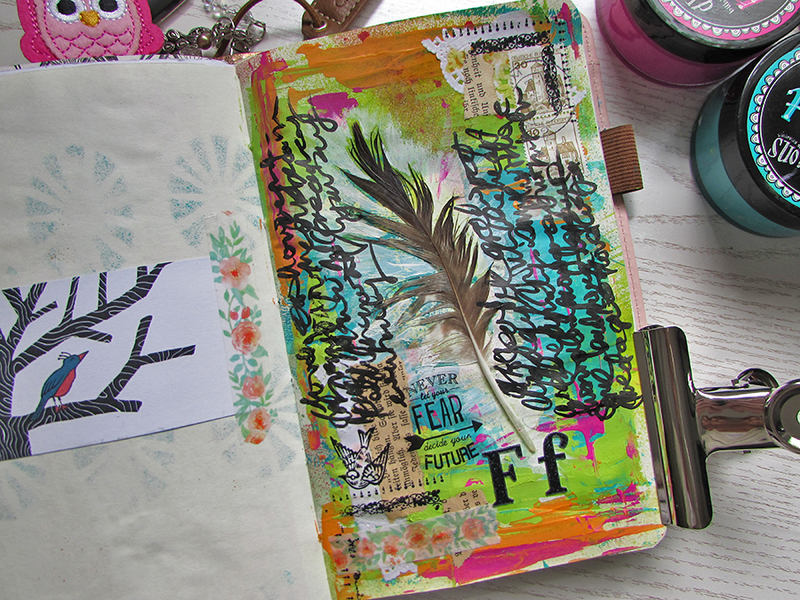 I used the Dylusions paints from the shop for my background and glued in the feather. 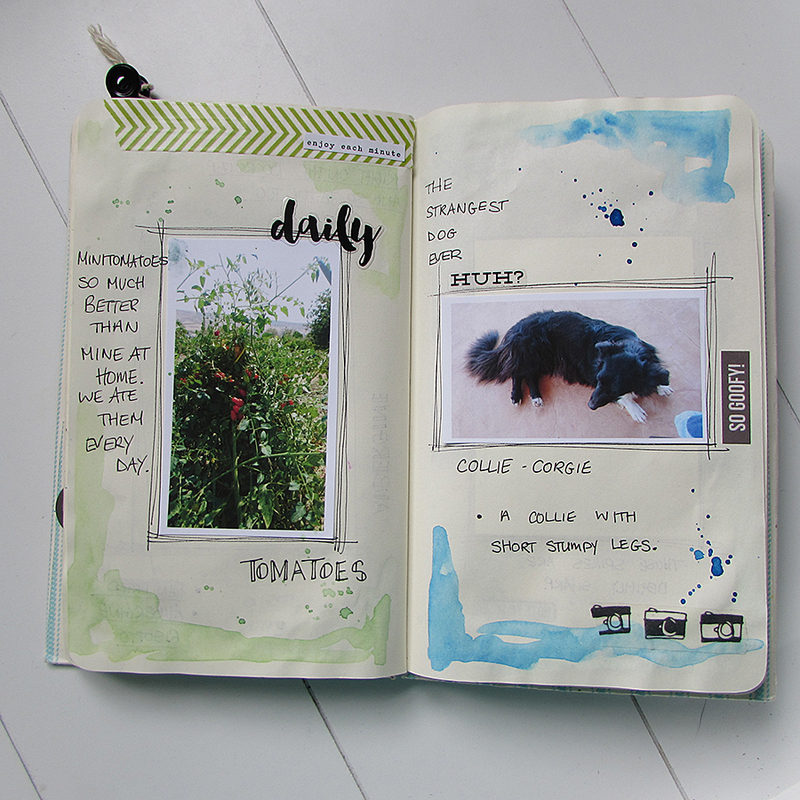 A bit of collage and journaling finished it off and I think I’m a happy bunny again. Here’s a closer look at it. We’ve had some pretty sad weather this week, for August anyway. Not as bad as some folk in the UK but still cooler and at times wet, so an afternoon of lovely warm sunshine was very welcome and provided the perfect opportunity to get outside to do some sketching. 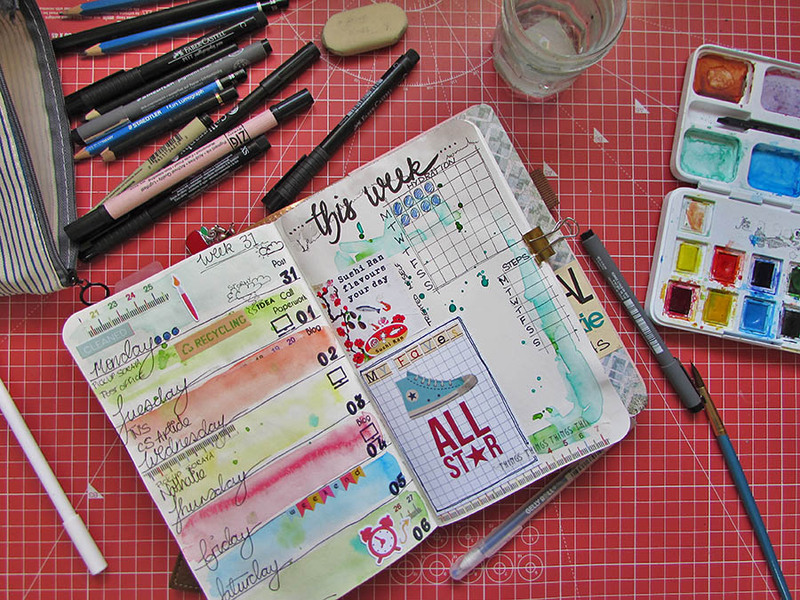 I made a start on this weeks planner pages laying down some watercolour and marking out my grids and days. This is how it looks today, friday and almost finished. 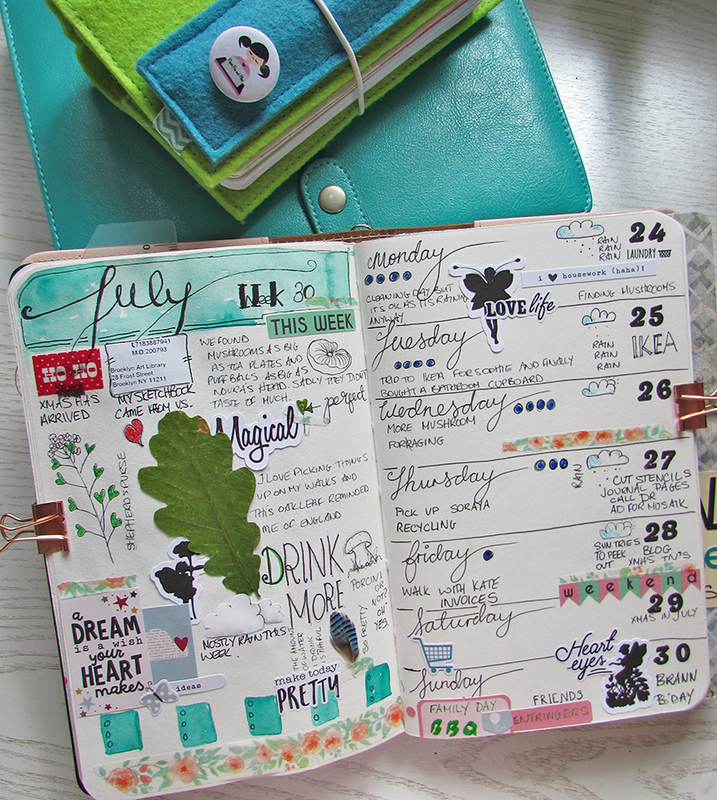 I’m loving this sort of layout and for the moment I don’t see myself changing it at all. 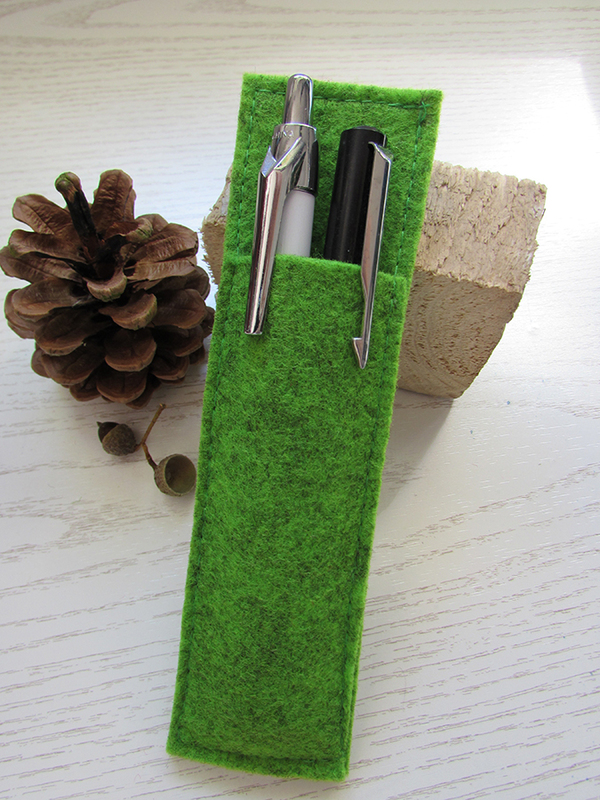 After the success of last weekends felt TN launch in the Etsy shop, I added to that family some pen holders also in felt. I’m very proud of them all and I’m hoping they’ll be as popular as my notebook covers. To find yours you can follow the link here. Well that’s it for today. Have a good one where ever you are and stay creative. 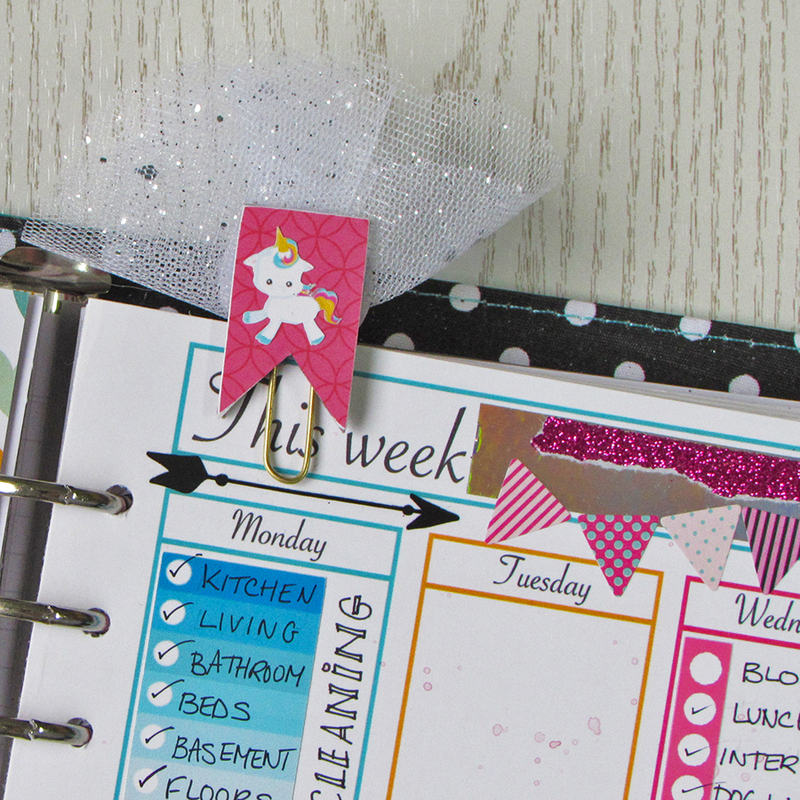 Why I’ve decided to ditch the planners – shock horror!! 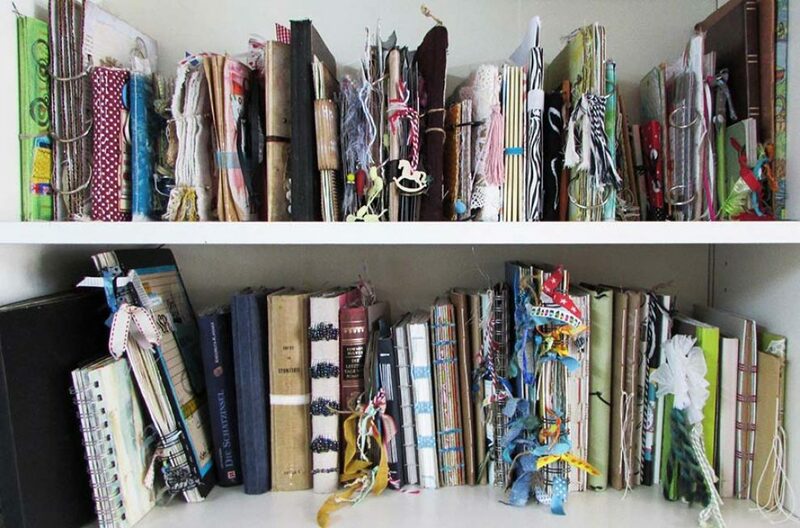 Actually that’s not fair to my planners, I’ve not totally ditched them, just sort of amalgamated them……sort of. The problem has been this, my stack of planners and notebooks. I love each and every one of them for different reasons. From the bottom up an A4 desk planner for every day note taking, planning blog posts, workshops, articles and with weekly planning pages. 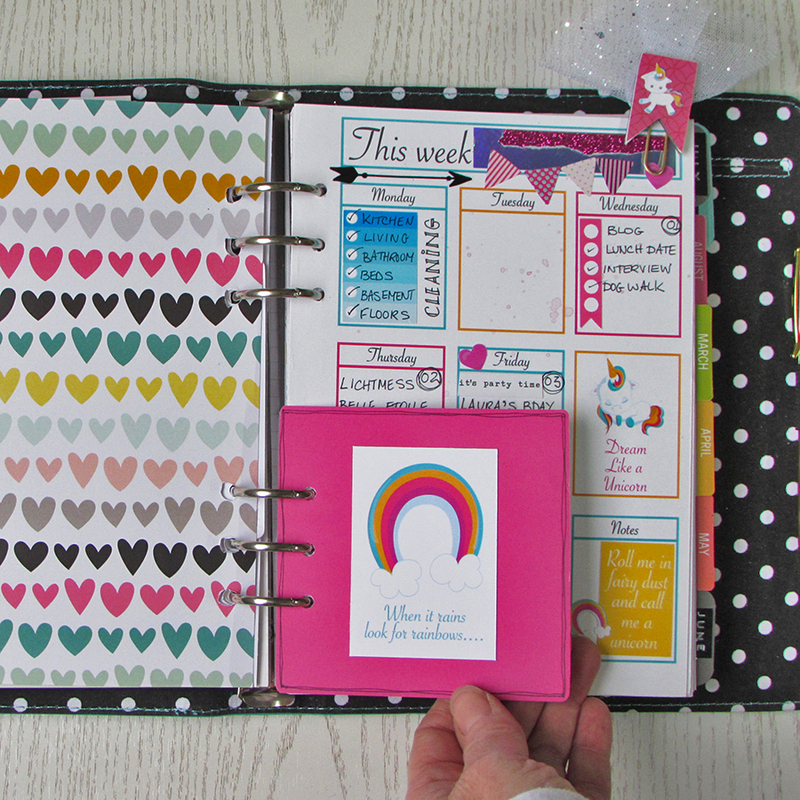 Next comes my Simple Stories Carpe Diem which I love for it’s size, I can decorate its insert pages and I use for the shop, Etsy, again workshops and articles and general worky stuff. The pretty one with pink flowers is my Prima Jet setter which if I’m honest I had to buy because I just love the colour and pattern. It’s a travelers notebook style which is my all time favourite planner style to use and I decided to use it for my personal gains. Health tracker, money tracker etc. I think I kept about two pages but it’s still sitting hopeful on my desk. 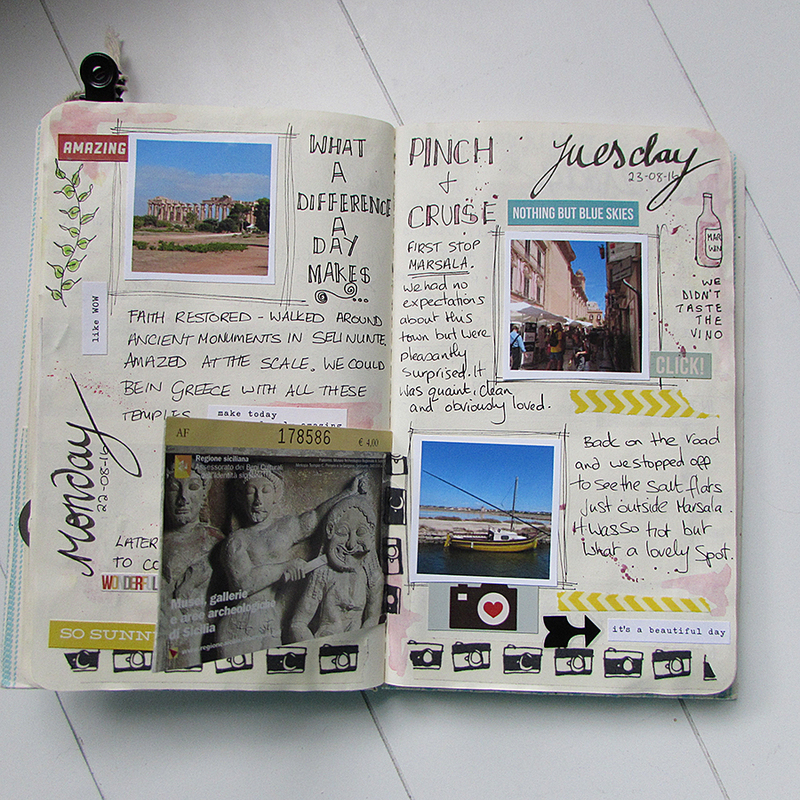 Next up is my Websters pages Travelers notebook which I adore. 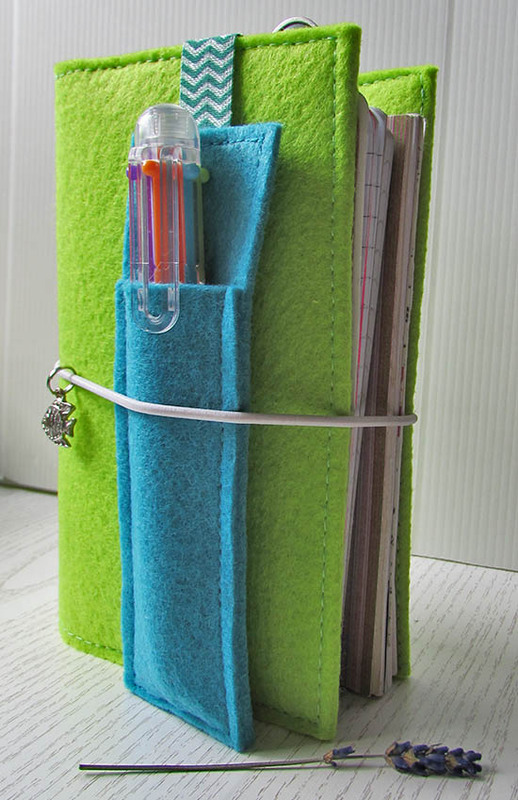 I holds my sketchbook, journal and bullet journal planner in one. 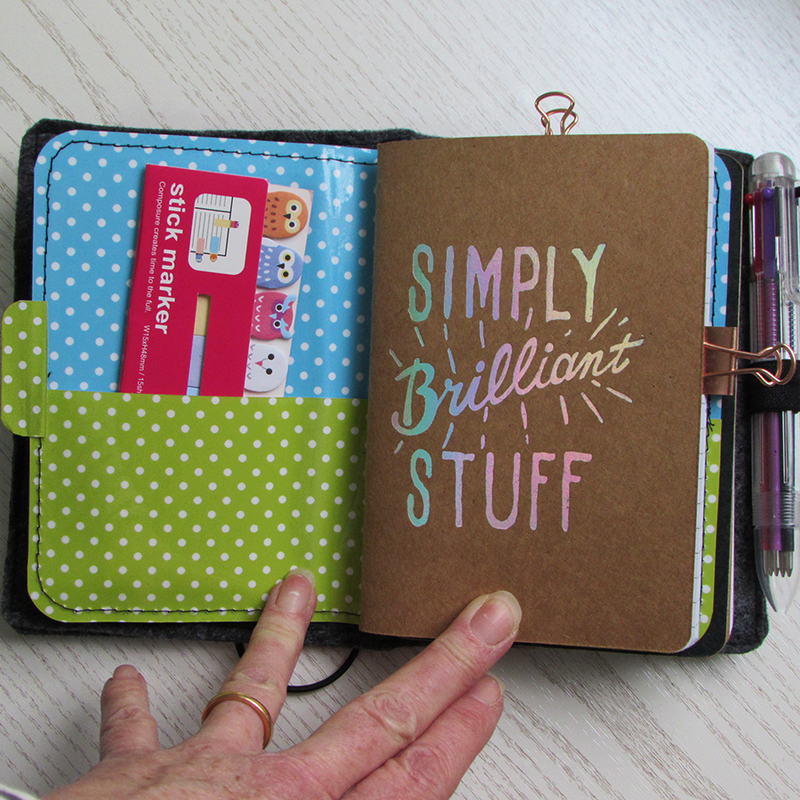 I love it and on top of that is my felt A6 version which is always in my bag with pretty much the same inserts, agenda, journal and sketchbook. 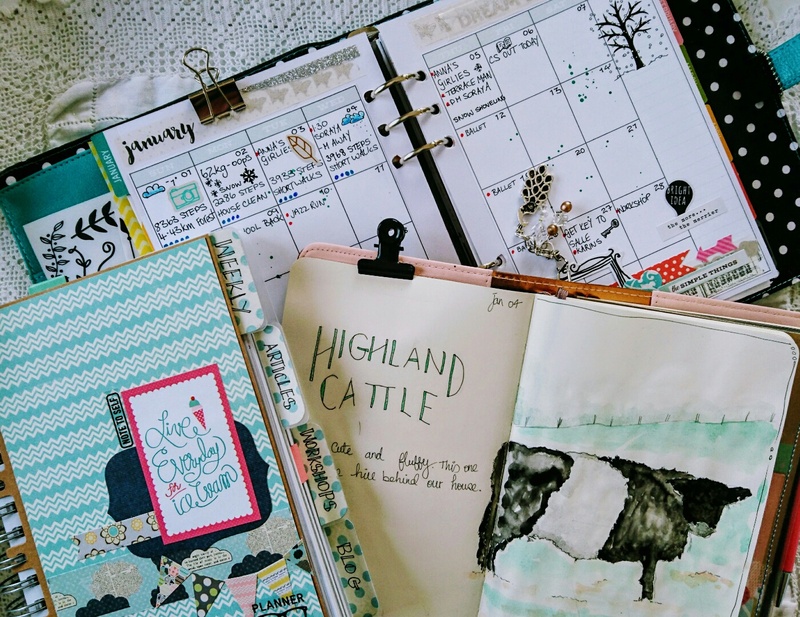 While I love each and everyone of these planners for different reasons and I use them regularly….well…semi regularly, I’m just getting a bit dizzy and confused. I forget which book holds what and it seems when I need to check what’s going on I have to look in three different places and that’s not ideal. 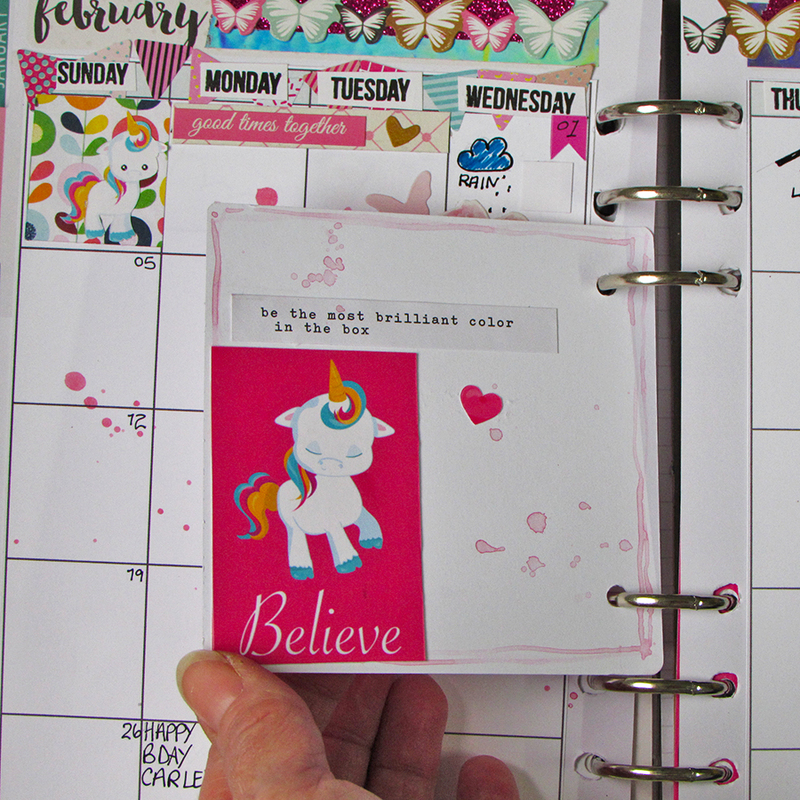 I came to the conclusion I could try blending everything into one planner and the one I like to use most often is my Websters. 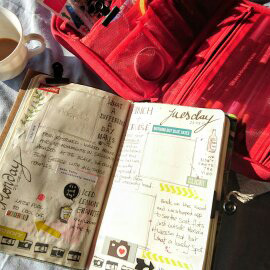 Since using my Travelers notebook for everything I’ve become alot more productive and focused. 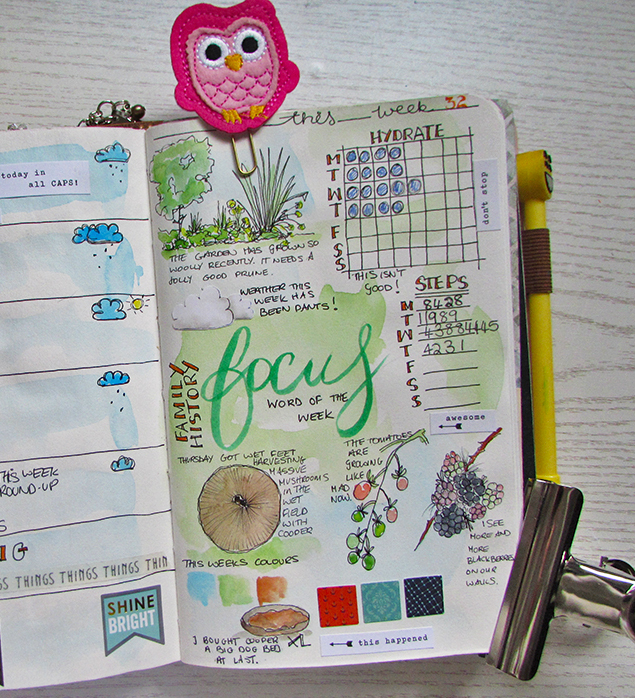 I get to plan, journal and sketch all in the same place. 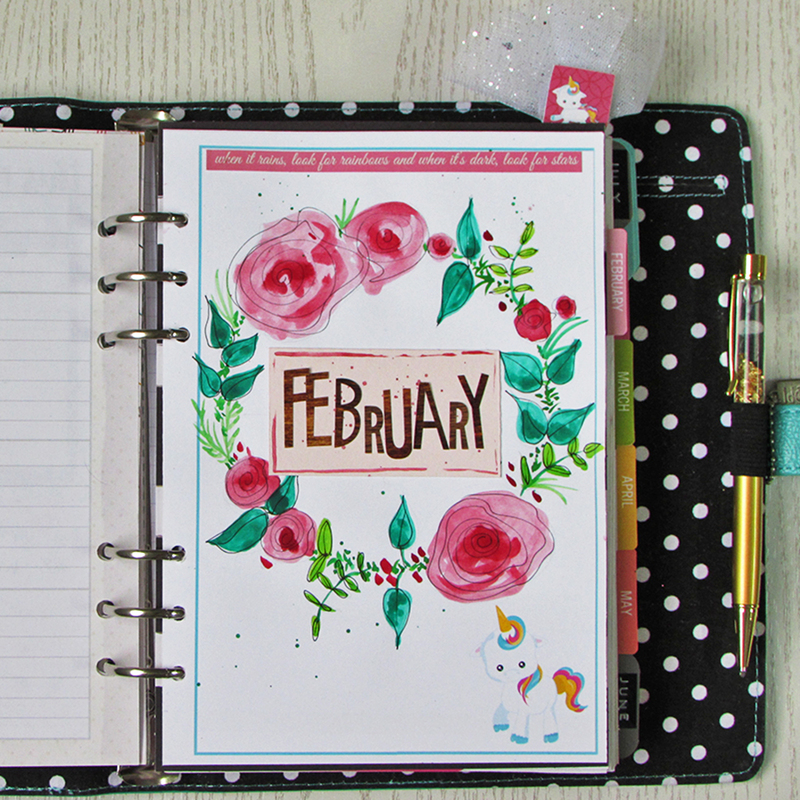 One side is my weekly planner and the other I use as a journal for the week making notes of things I’ve done and collaging in anything note worthy. I think I’ve shown you my smaller version before. It’s always in my bag and I keep my notes and agenda in it along with an on the go sketchbook/journal. I’m so pleased with my small version I’ve made lots of others and offered them for sale in my Etsy shop here . I’m busy making the pen holders to match them and some dangly charms. Oh bother, I’ve missed a few posts, I’ve not been well so I’m afraid my best of intentions went right out of the window. I’m having a good day today so I can catch you up on the good stuff which did happen last week. Well for starters the sun came out and made us all feel really Springy. 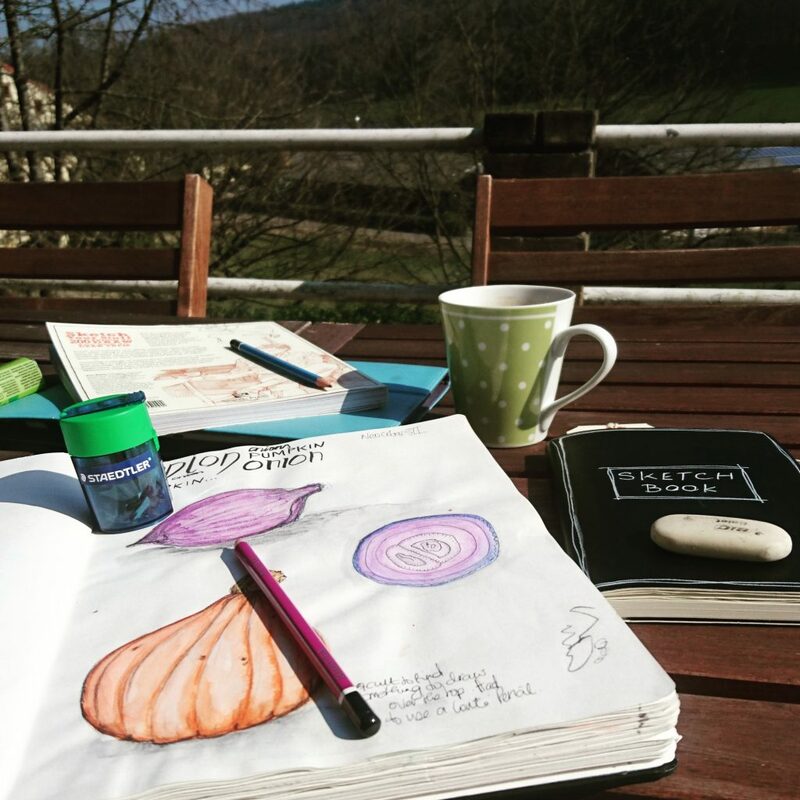 As much as could be done outside was done outside and a spot of sketching was right up there. By the end of the week it started pouring with rain and I ended up with a jumper on again which goes to show we shouldn’t take these moments for granted. As I said I wasn’t feeling well so I ended up watching my neighbours digging over their plots ready for the new season and all I can do is imagine their thoughts as they look over at mine, destroyed by the dog and full of weeds. Hubby and I have got a plan up our sleeves though which will knock their socks off!! Maybe. 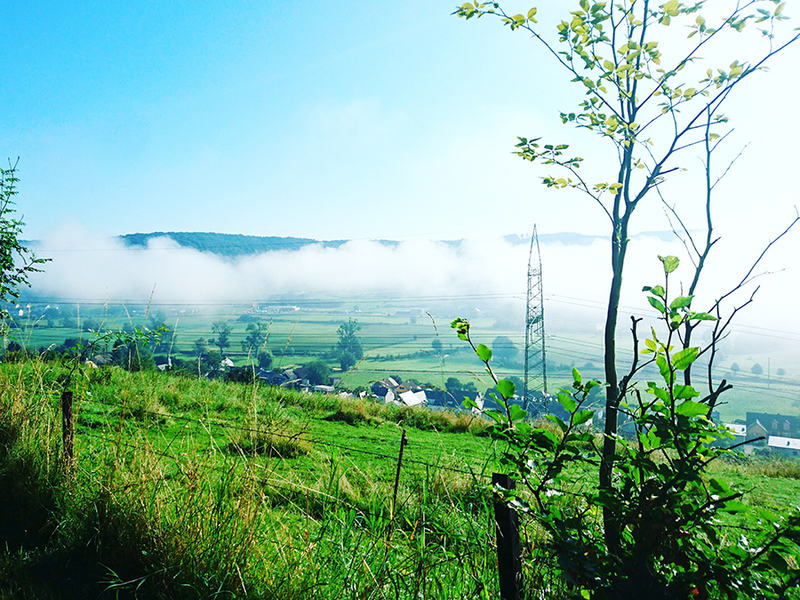 This week the sun came back and we were treated to some truly warm days. 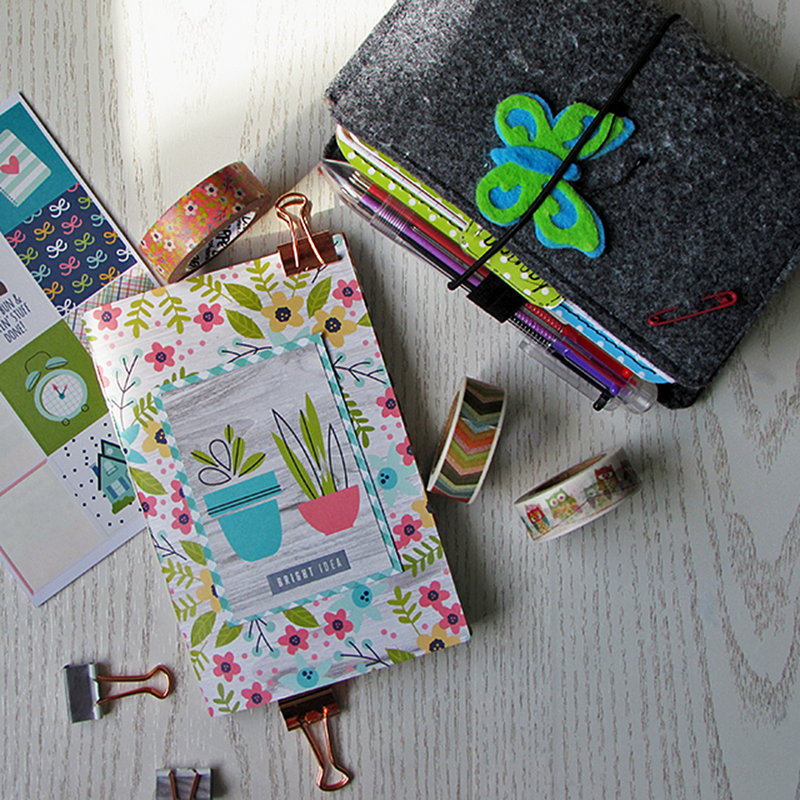 I did receive a very welcome package from Paperpenandplan just over a week ago containing some Simple Stories goodies. 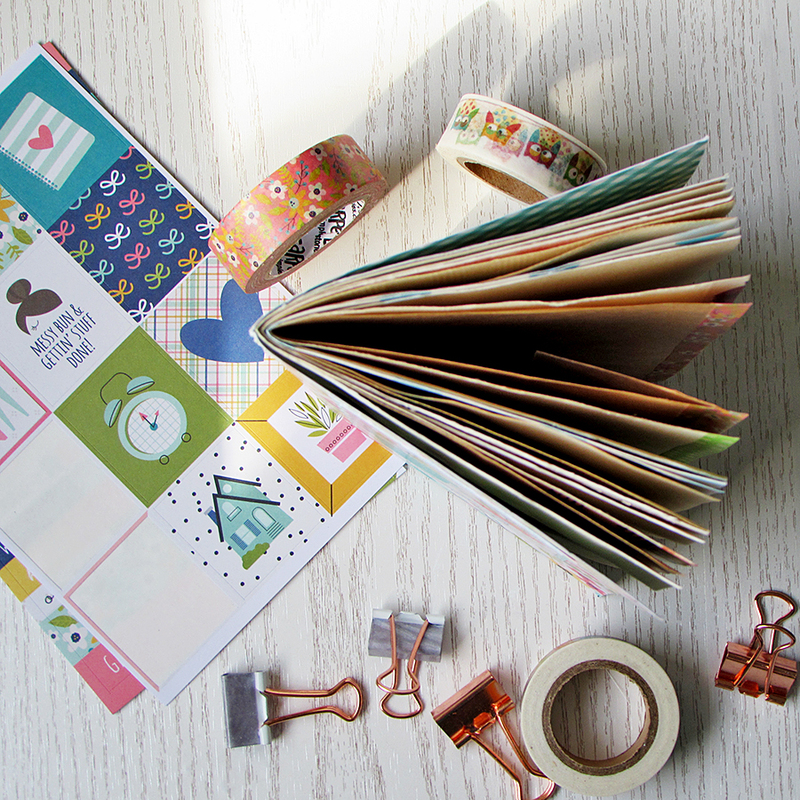 Planner stickers, stamp, washi and paper pack. I couldn’t wait to open and use it. As the title suggests, small is indeed beautiful to coin a cliché and my passport sized Travelers Notebook is fast becoming my absolute favourite planner of all time. 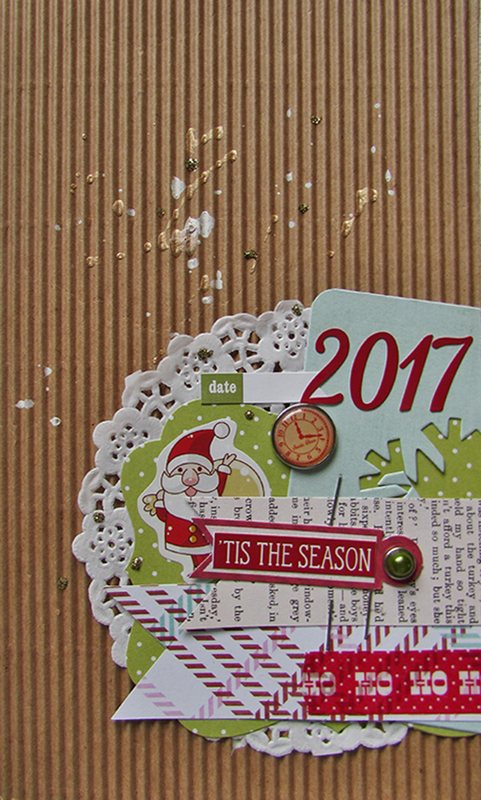 I decided to make a mini insert for it using some of the Simple Stories Domestic Bliss papers which arrived from Paperpenandplan. 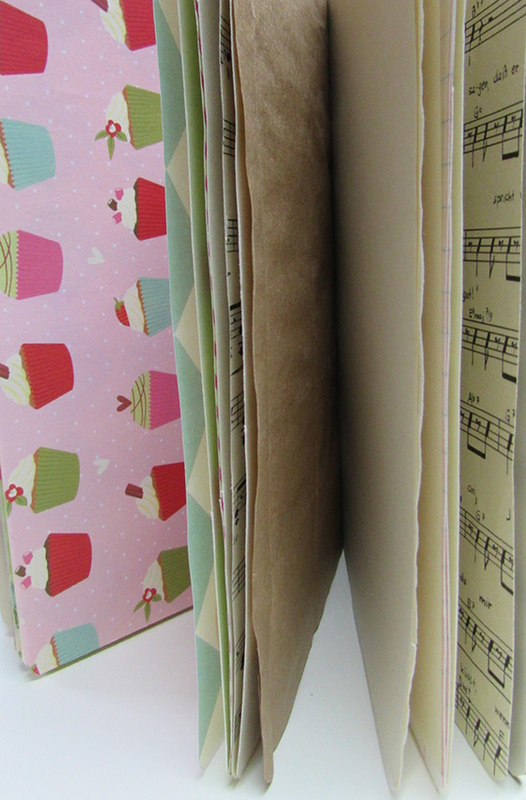 As before the binding is hand sewn as that’s my favourite method of binding. Have a good weekend and for now Happy Friday. 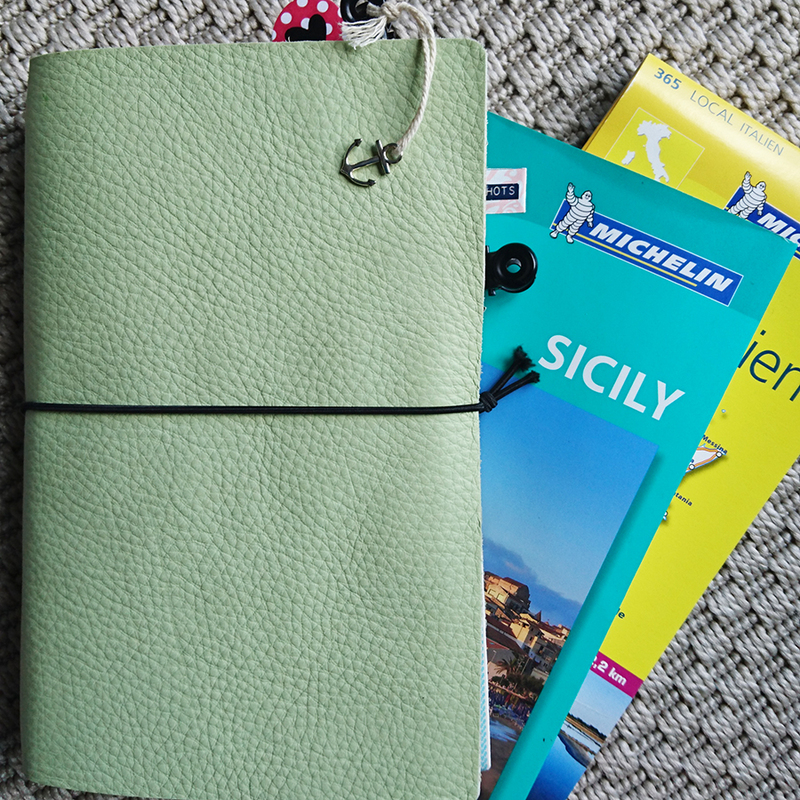 Meet my latest obsession, this little passport sized travelers notebook. It’s become my handbag companion containing my mini agenda, notebook plus two other blank books which I’ve yet to decide what to use for. 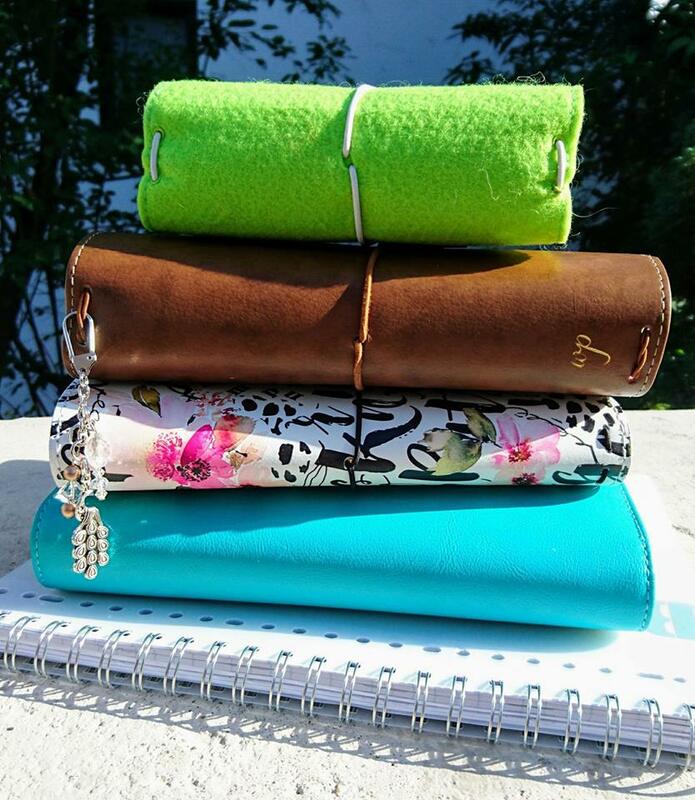 I always had a little notebook in my bag for list writing and jotting down notes on the go but everything else was in my personal size agenda. 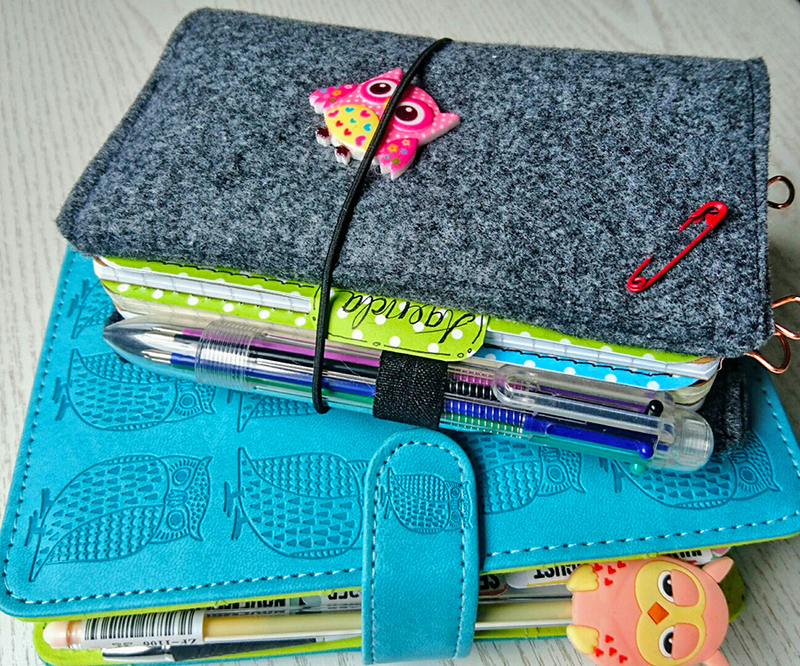 Since buying this gorgeous turquoise and green planner from Paperchase recently and filling it with owl pretties from Paperpenandplan I didn’t really want to have it thrown into the bottom of my bag to get dirty and beaten up like the old one had been so I thought I’d have a go at making my own travelers notebook style from felt. 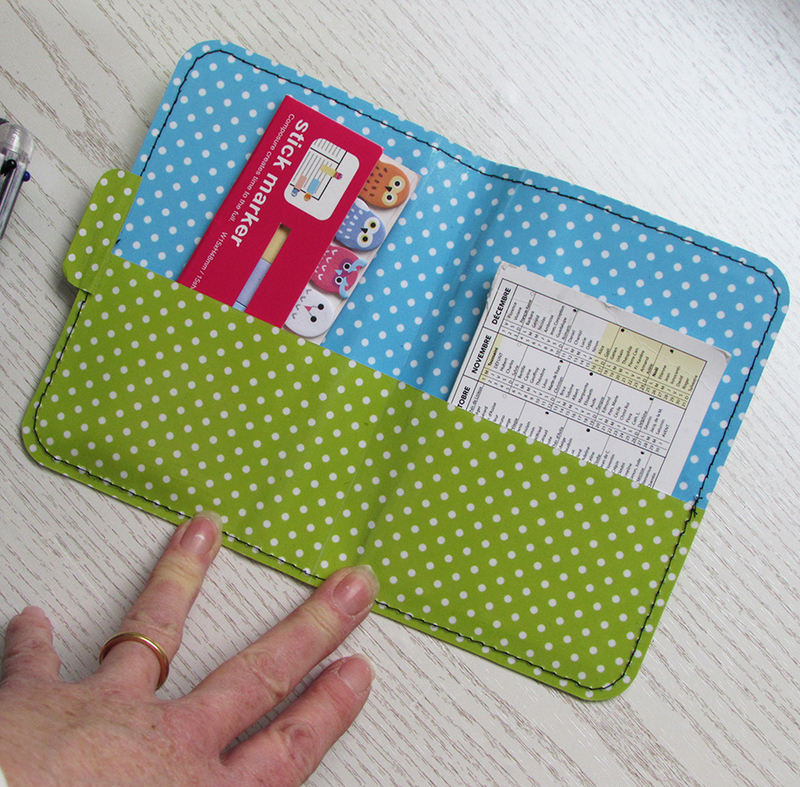 I also made a dashboard insert with a pocket using the digital papers from the March Sweet Treat box from Paperpenandplan. 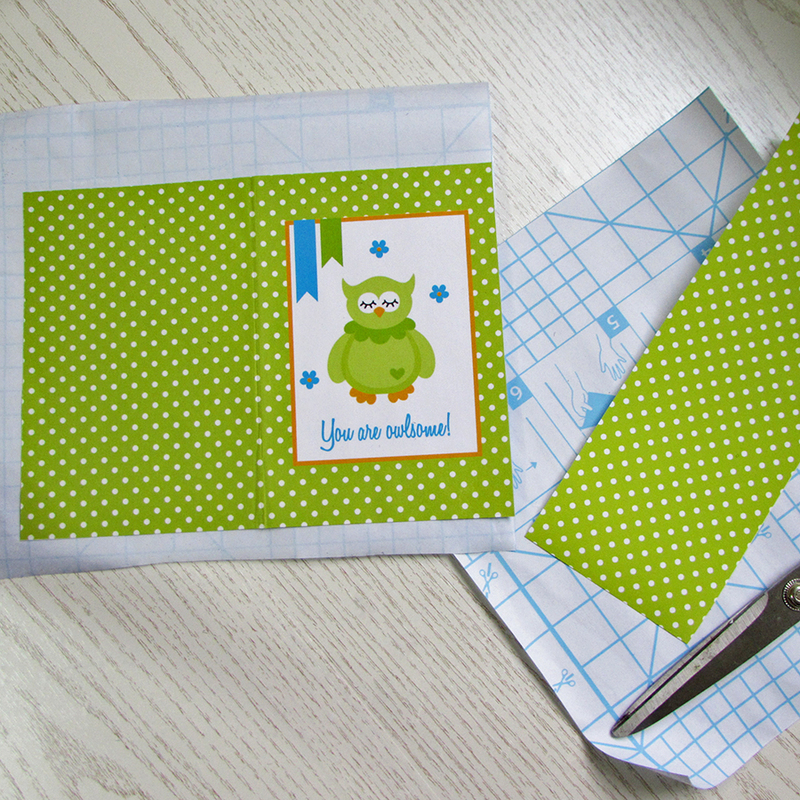 I wrapped it around one of my notebooks and the pockets are perfect for page markers and stickers. It’s super easy to make your own so here’s how I did it. 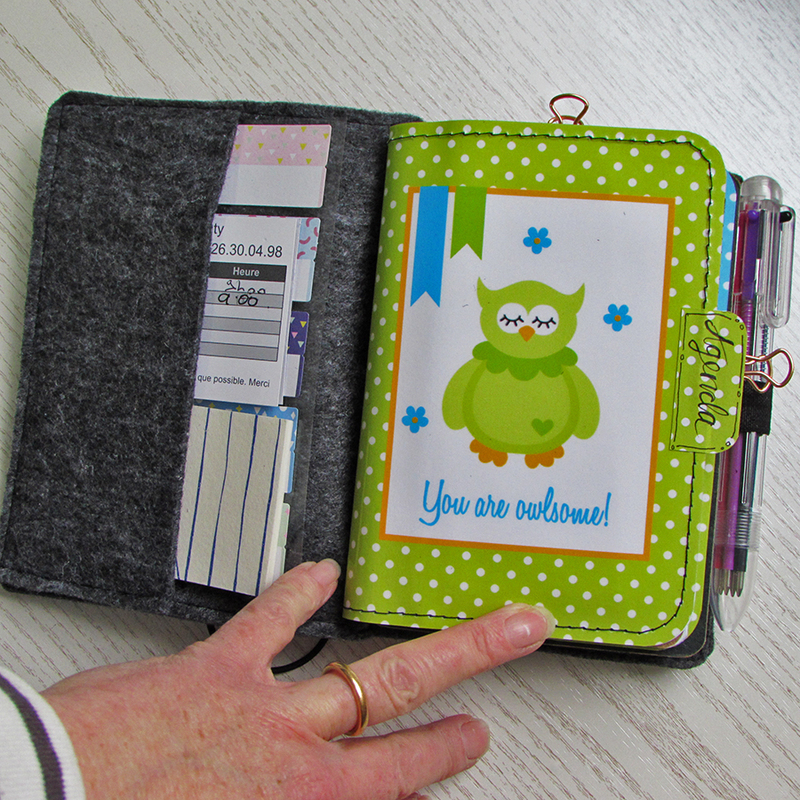 I have a digital image manipulating program so I was able to put the two spotty papers on one A4 sheet and drag the owl journal card on the top right hand side. If you aren’t able to do that on your computer, don’t worry, just print all of the pieces out separately and cut them to size. Without cutting the two halves apart, I folded them in half and glued them together. I find doing this is more accurate than trying to glue one piece on top of another separately. 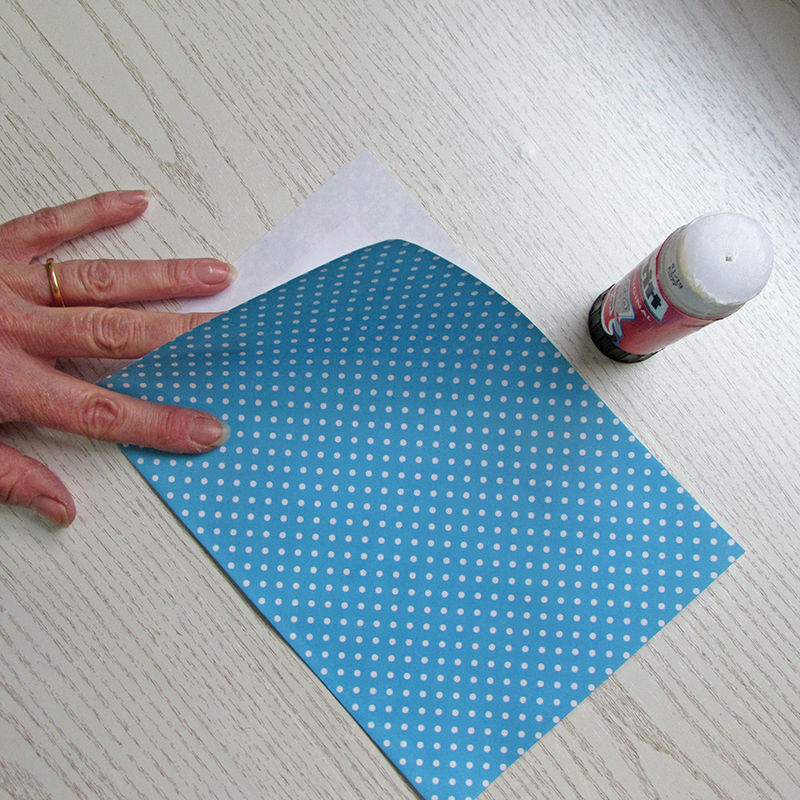 Fold your dashboard in half again widthways and trim off any overhang from the top or bottom. For the next step, I was going to laminate my dashboard but this is what happens when laminating goes bad!! So without a laminator I resorted to using sticky plastic to cover my dashboard. 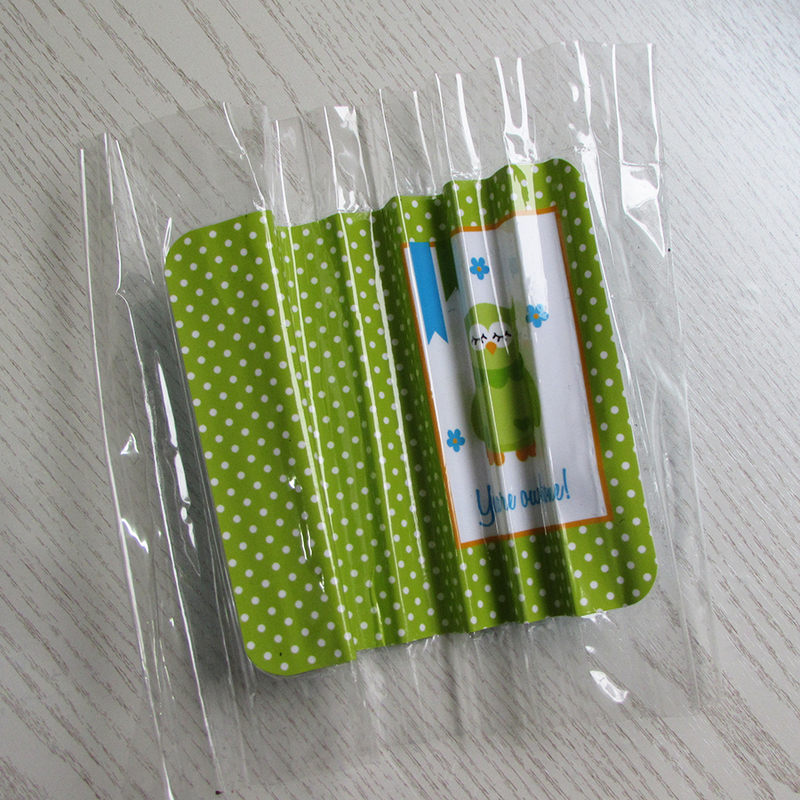 I’ve also cut a strip from another piece of green paper to become my pocket. With the both sides covered with plastic I used my sewing machine to attach the pocket to the dashboard plus it just gives it a decorative finish. 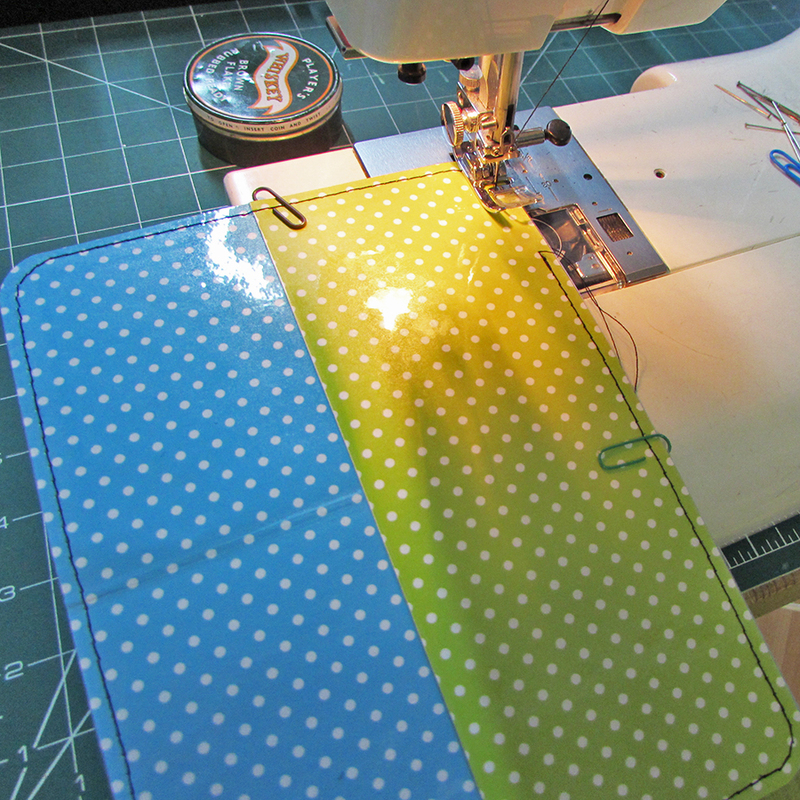 You could use hand stitches with embroidery thread in the same way, just pierce the holes with a paper piercer. When I use my sewing machine I always use a jeans needle and go very slowly. 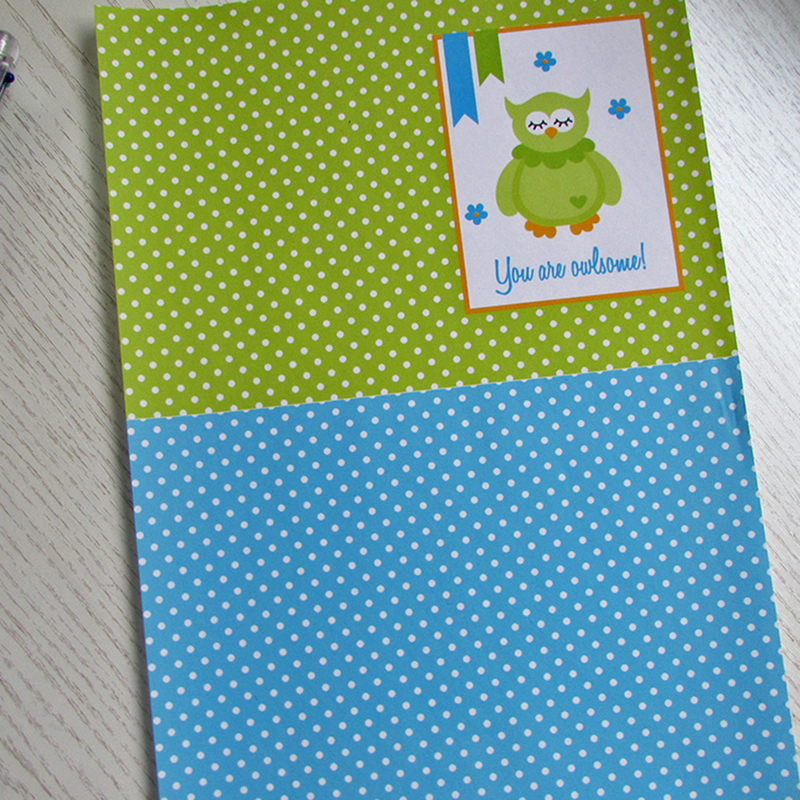 I also rounded the corners for a neater finish. On the original I added a small tab with some spare green dot paper which I ended up covering too with plastic to protect it. 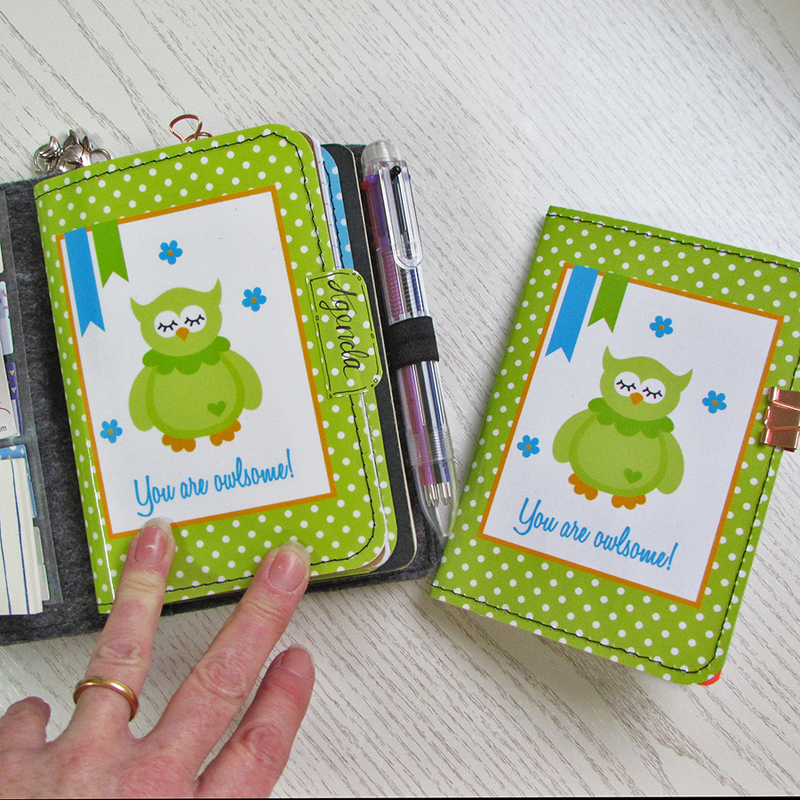 If you love my owl themed bits you can find these and goodies just like them at Paperpenandplan and if you quote JAINE10 at checkout you’ll get 10% off your order. 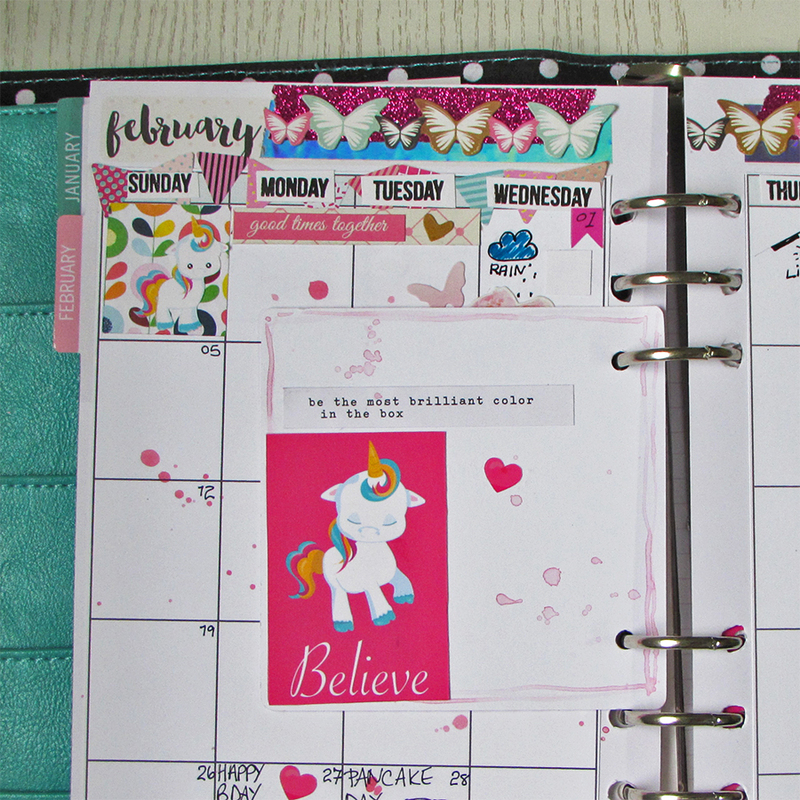 Wow February is here and I for one am truly happy about that. January is such a dismal month with most of it spent trying to either catch up on stuff not finished from last year, feeling down because already the promises made on January 1st have fallen by the wayside plus the weather is usually dull and dreary like the mood. 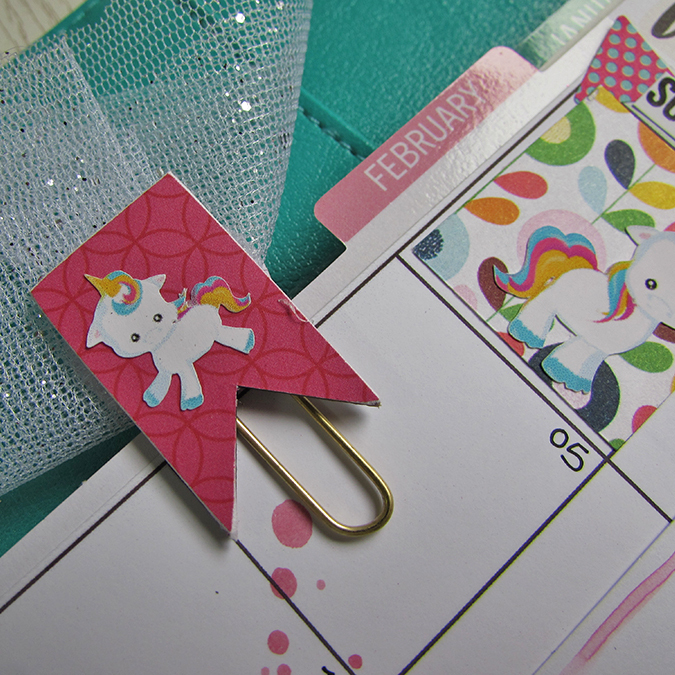 So…..February is here folks so fear not, all will be well. February is the month of finding the first signs of an eventual spring. Only this morning I swear I heard the croaks of a bull frog coming from the pond next door. There’s alot to look forward to this month and yesterday was Candlemass or Liichtmess as it’s known here where light is brought in to the home to see us through those last weeks of winter and to hurry on the Spring. Here it’s a big thing with the children who walk from house to house with lamps chanting the song and asking for sweets. Like trick or treat without the trick! It’s a colourful and light filled occasion and of course the kiddies love it. Then at the end of the month it’s pancake day (shrove Tuesday). I love pancakes, who doesn’t? In the middle of the month I’ll be off to Birmingham for the Stitches show at the NEC. This time last year I was all nervous and excited to be part of it on a stand of my own as part of the CHA designers section. I’ve learned alot in a year and realise how naive I really was back then. I’m happy to be going this year as a visitor, it’ll be more relaxing for sure. 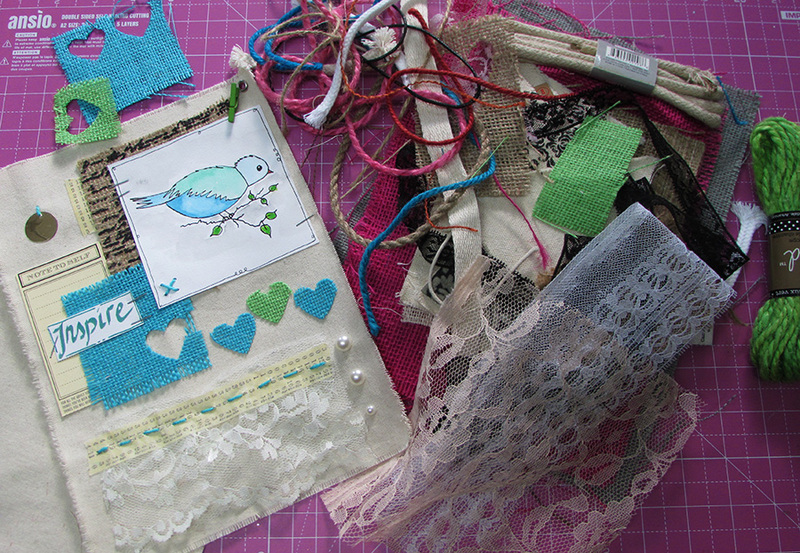 Right now on the Canvas Corp web site, I’ve a little project using scraps of paper and fabrics to make prayer banners. They include motivational words to help carry me through the year and the banner hangs in my studio. I’m pleased to say my planning is right on track and I’m really enjoying the process. 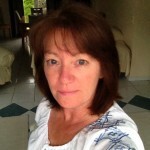 I think I’ve found something which suits me and my style and is really working. 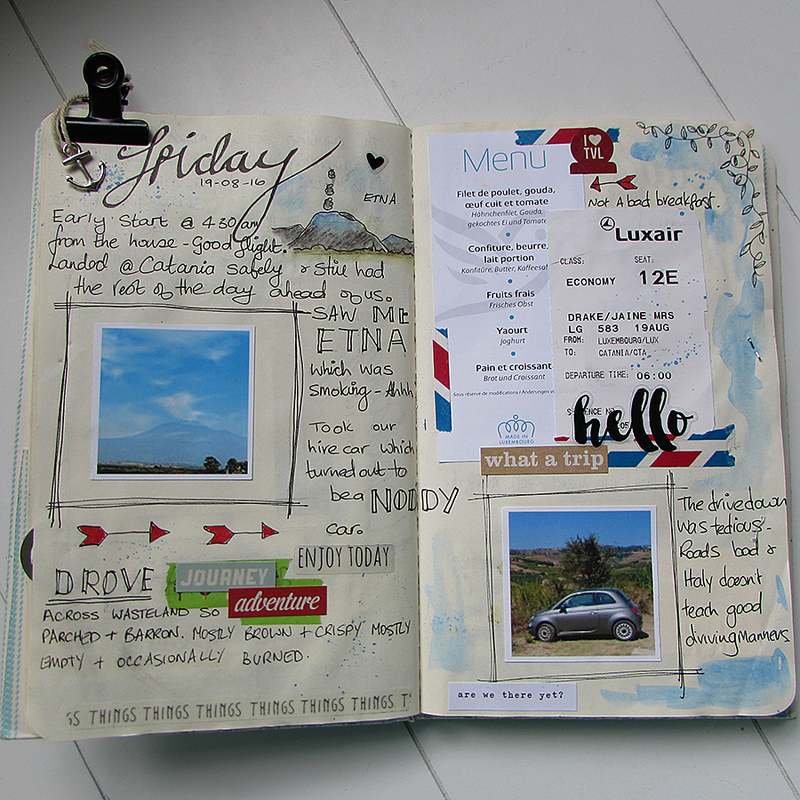 It’s only taken a year of experimenting to discover what I actually like but I’m now using my A5 Carpe Diem properly but putting my own stamp on it, my Travelers Notebook from Websters Pages which holds my sketchbook and my personal which I’ve totally renewed making all my own dashboards and inserts for. 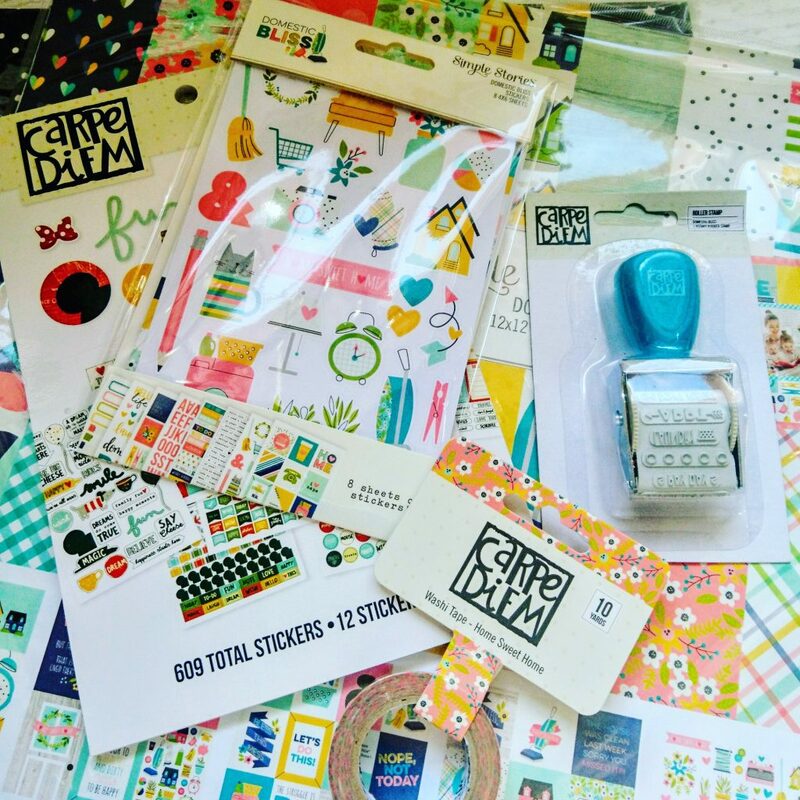 I’ve very pleased to say I’m involved with a wonderful community of people called Paper Pen and Plan who bring monthly planner goodies to you in the form of a subscription box. 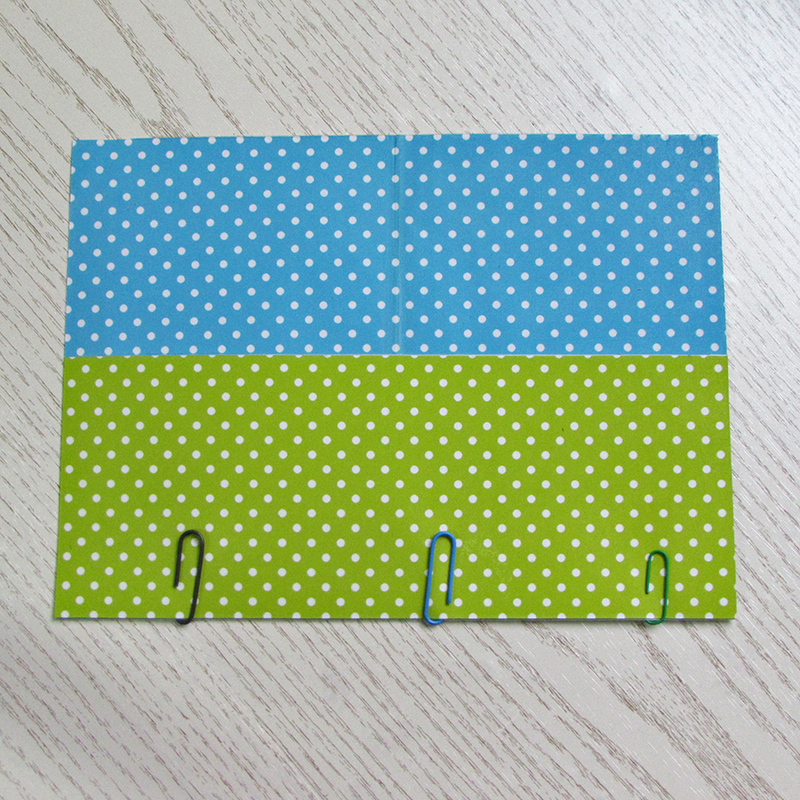 They have a web site here Paperpenandplan and a great Facebook group too. 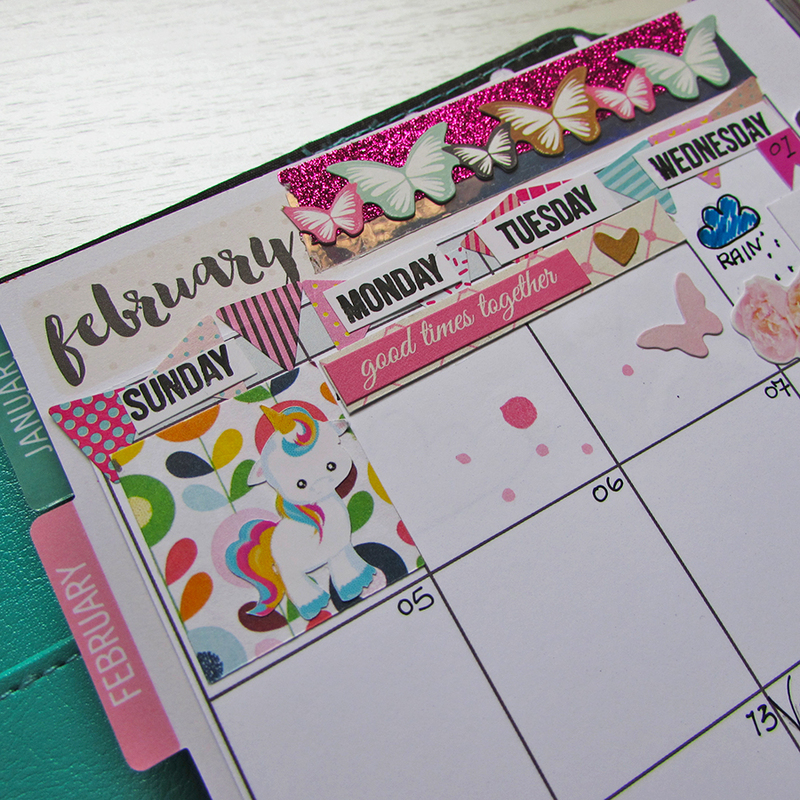 My February planner pages have been created using stickers and downloads from their February Sweet Treat box the theme of which is Rainbows and Unicorns. What could be more adorable? They are also running a challenge within the Facebook group with the opportunity to win prizes. You can join the group here. Have a good weekend everyone and I hope it’s a colourful one. I really should call this Catching Up In The Studio as it’s now Sunday and I’m only now finding the time to do my catch up. It’s been a busy week as usual and the weather hasn’t helped. We’ve had some snow and having a dog who constantly wants to come in and out the floors are always wet and dirty so I spend my time cleaning up after him. 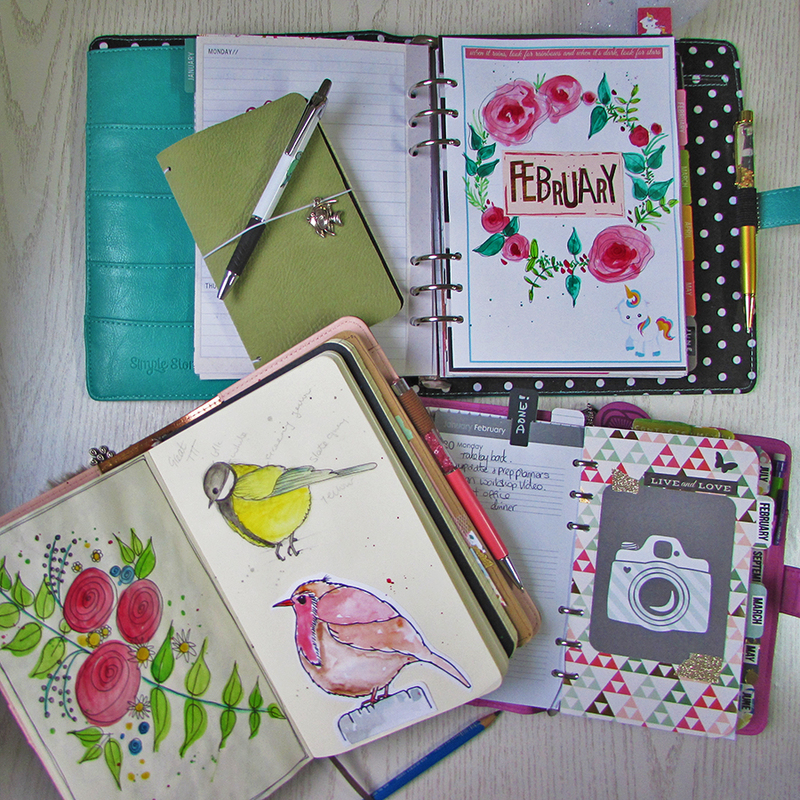 Anyway, that aside, I’ve prepared my planners and journals for this new year and I thought I’d share that with you seeing as I’ll be using them from time to time in blog posts. 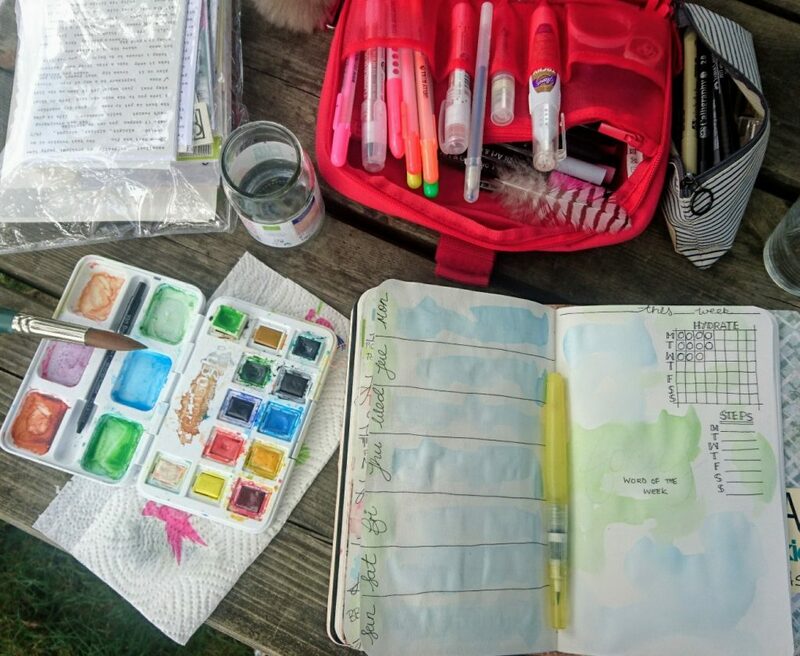 The four above are the ones I’ll be using on a regular basis and from the top they are, a Websters Pages Travelers Notebook which holds a sketchbook and journal in at the moment but I have the ability to be able to add other books as I go along. Next is my desk diary which is my daily agenda, always on my desk with my to do lists, money matters and notes etc, then comes my Simple Stories Carpe Diem planner which I started last year and abandoned after January! 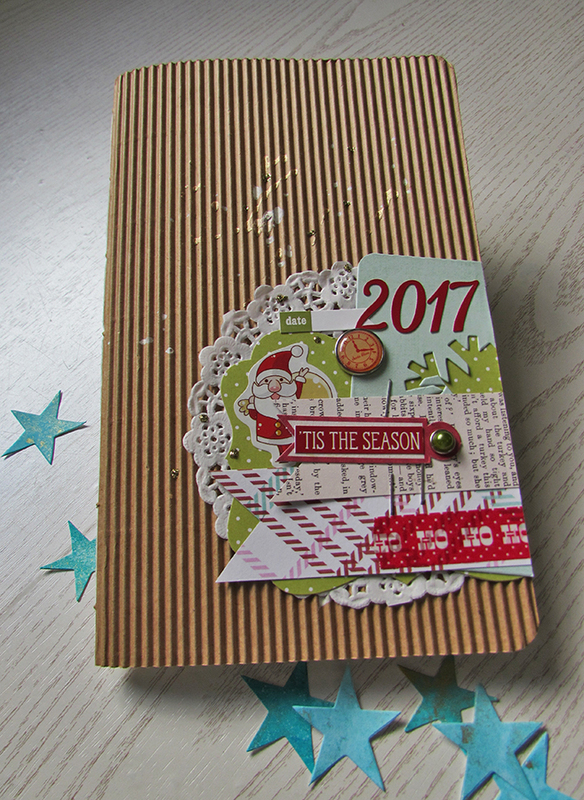 I’m hoping this year to really use it properly and after making new inserts and dashboards for it I feel it’s really my own style. Finally I’ve a gardening diary which was a gift a couple of years ago and although I’ve started it I don’t feel as if I’ve really got into it yet. I’ve lots of ideas for how I’ll use this one so you may see it from time to time here. 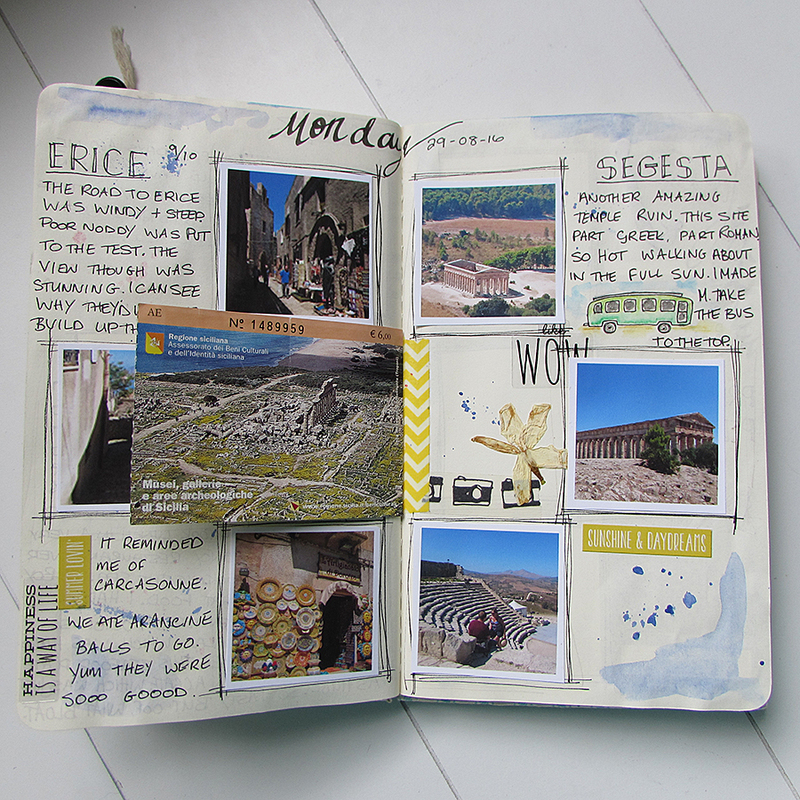 As I said in my travelers notebook I’ve included a sketchbook. I do have a much bigger sketchbook which I’ll continue to use from time to time but for a quick sketch on the go I’ll be using this one. 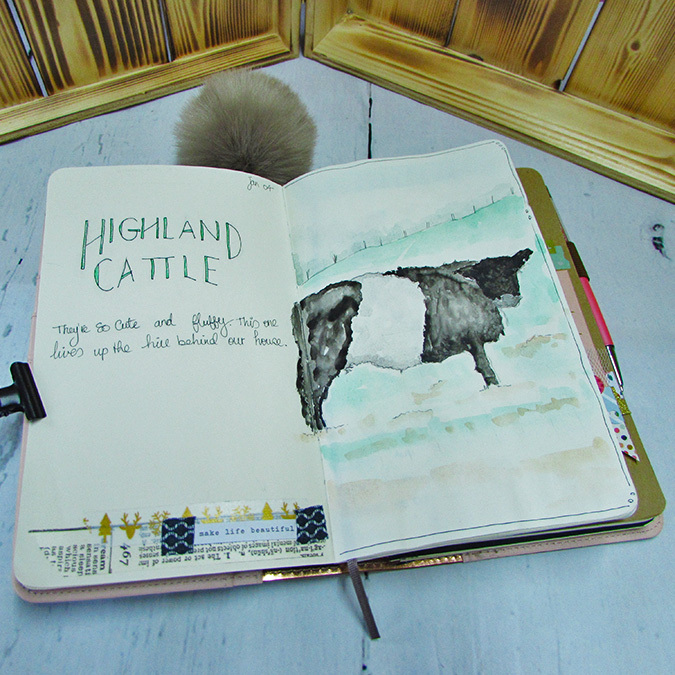 It’s a Moleskine as I absolutely love the paper even though it’s thin and buckles and warps when I use watercolour paint on it, this is why I like it so much. A couple of sketches created after walks with the dog. 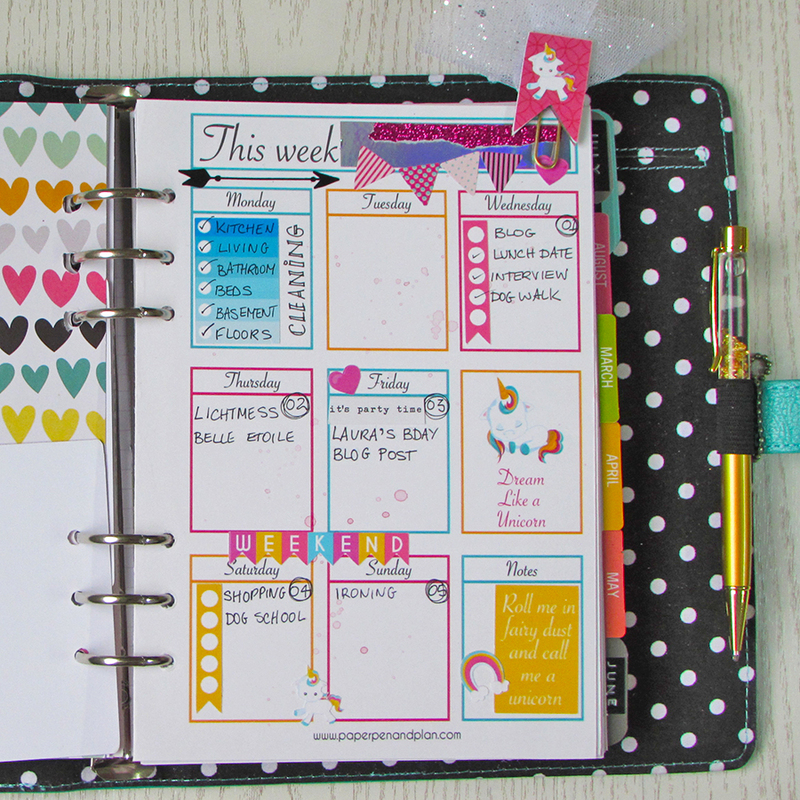 My planner is a Simple Stories ring binder style and now I’ve made my own dashboards it feels more like me so I’m hoping that will encourage me to keep up with it. I’d love to know if any of you are using planners or journals this year and what system you’re using? Hopefully I can inspire you a little bit to get out a pencil and maybe start something new. 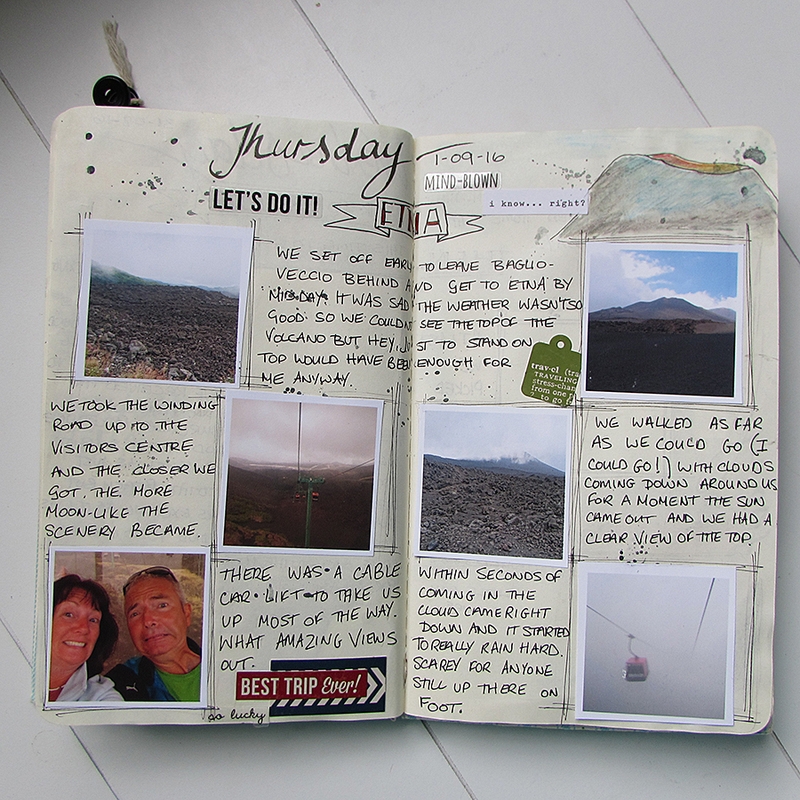 As promised I thought I’d share a few pictures from my travel journal in my hand made faux dori cover. It was a joy to sit in the evening on the terrace with a glass of vino filling in the day. 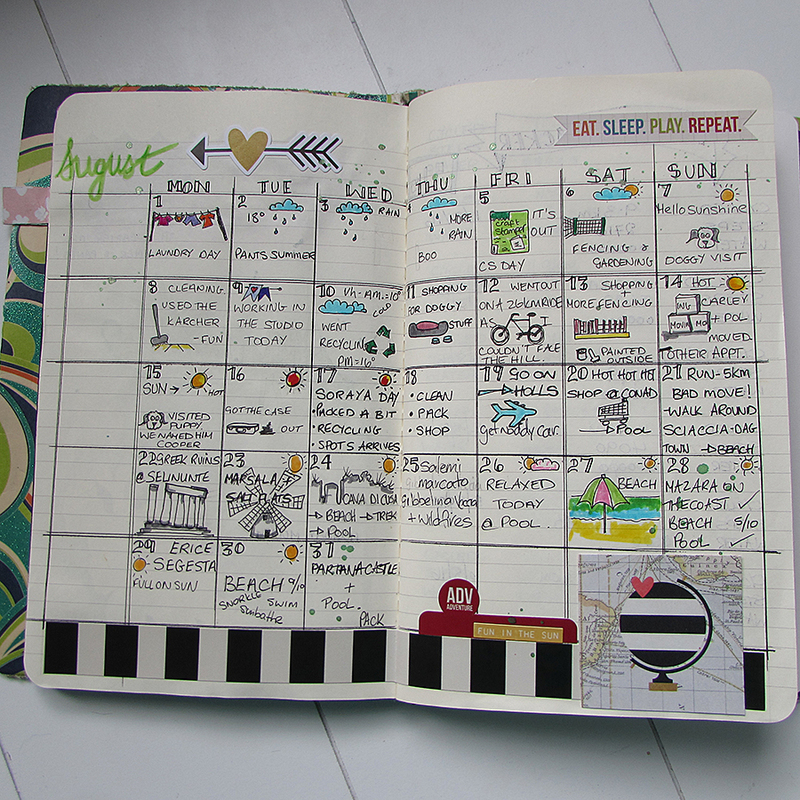 The planner side of it didn’t escape my doodling and in fact keeping that up daily helped me if I needed to go back a day or remember where I was for any reason. 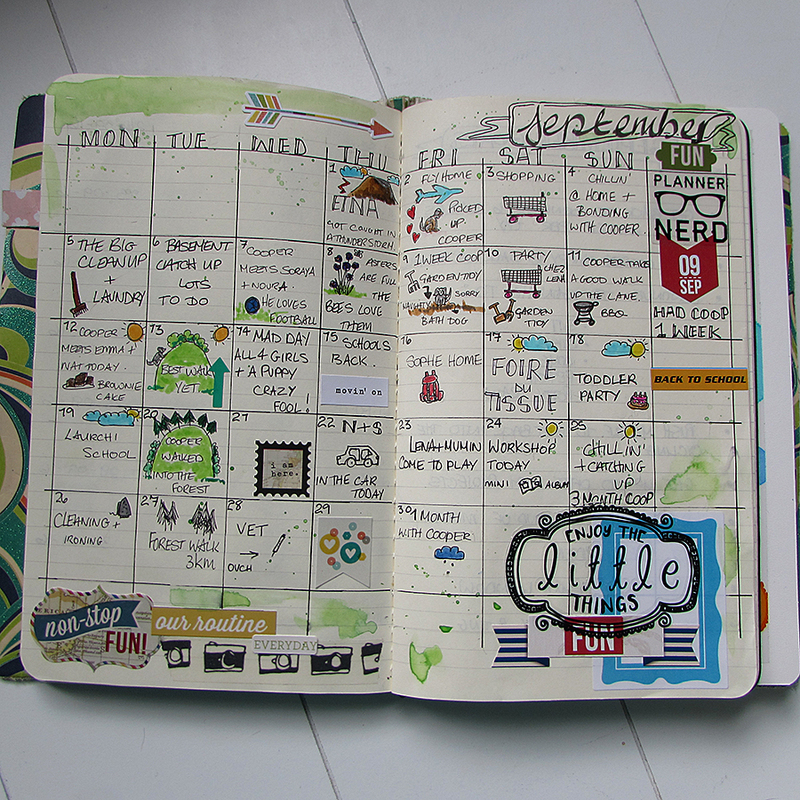 I love the little calendar with its doodles. I should make stickers out of them. I selected a few pages to show you not that I bore you with the whole thing. 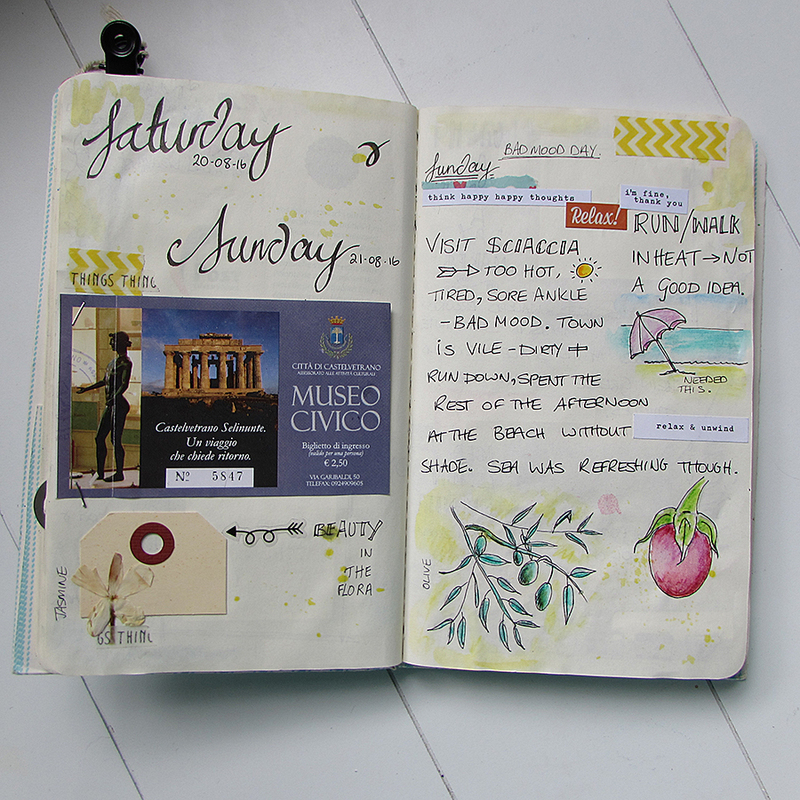 I used water colours mostly and I took a few stickers and some washi with me too. When it came to the photos, I knew the size and format I wanted to print them out at so I sketched a box on the page where I would eventually put the photo once I’d printed it out at home and made a small note of which picture it would be. 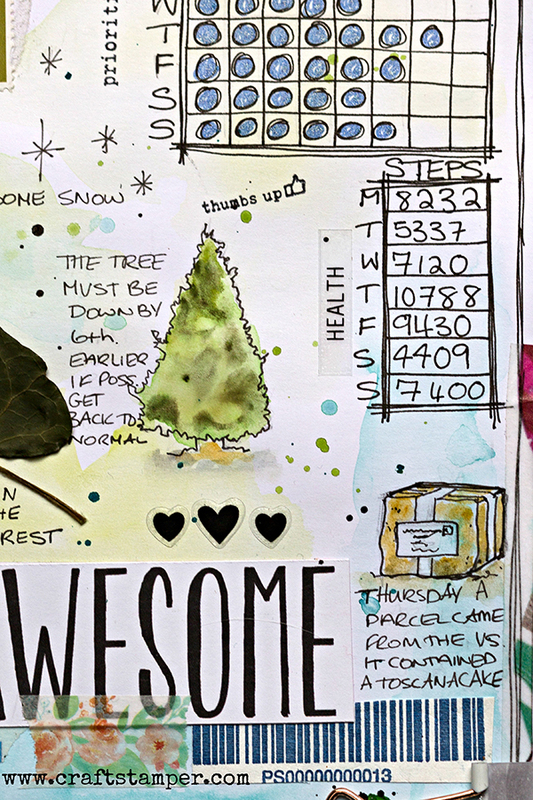 I’m very excited to plan my Christmas journal now. It won’t be too far away. 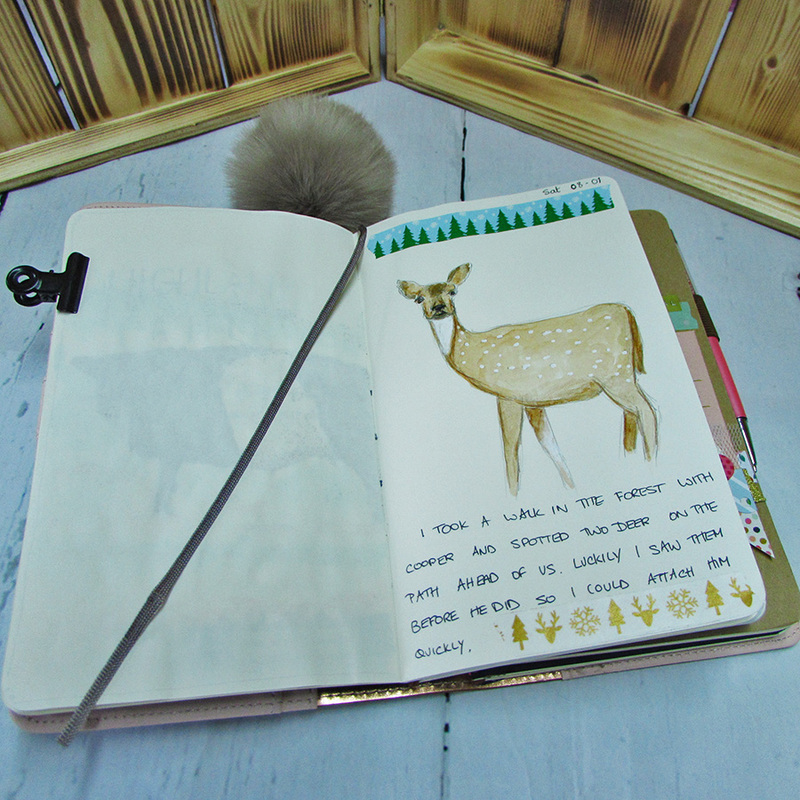 Even though I really didn’t want to let my Summer journal go I know it’s time and I have to be realistic and welcome the season in. 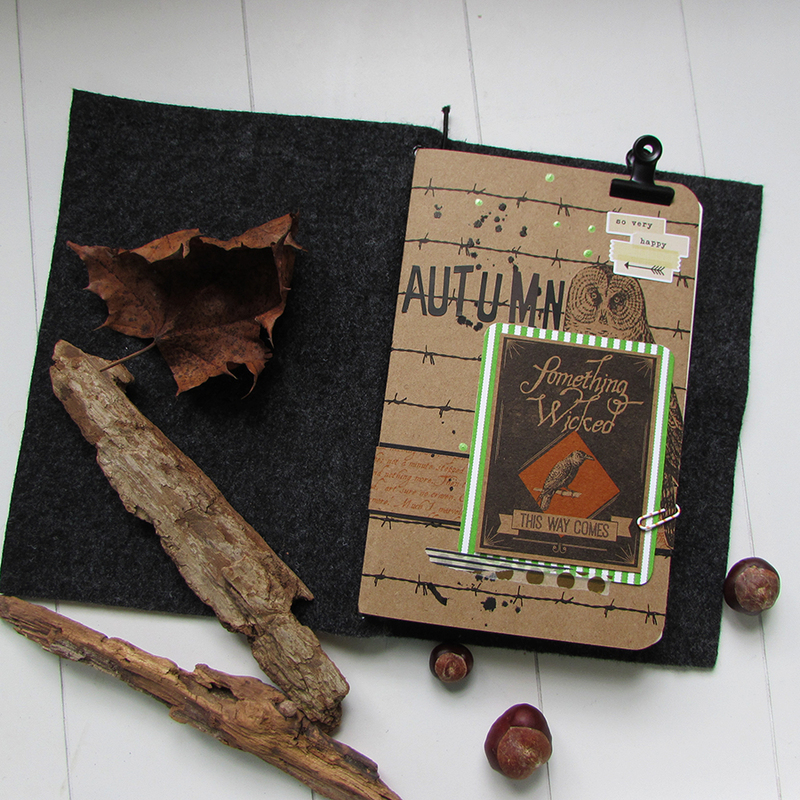 Decorating my Autumn planner was just the start I was looking for to get me in the mood. Good morning, well it is right at this moment. The sun has been out for several consecutive days now, I’ve no idea what’s going on? 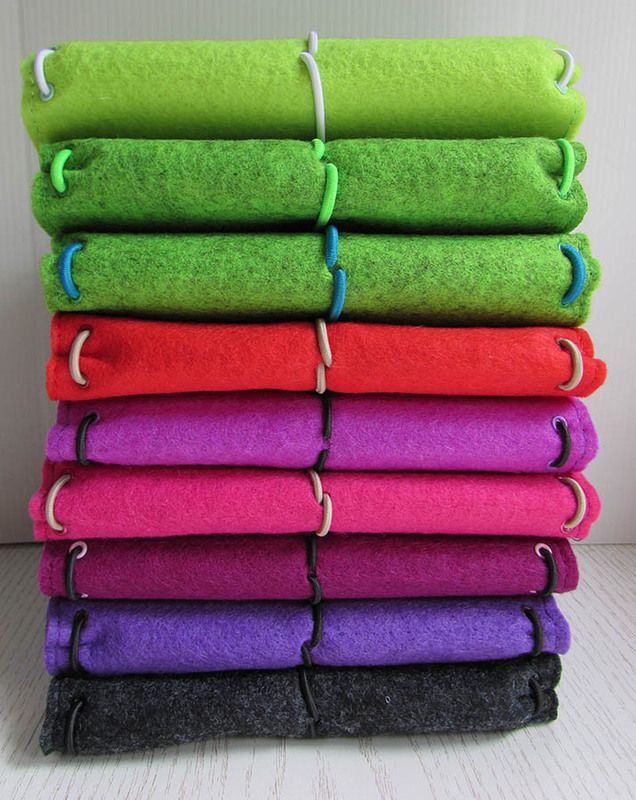 It’s cardie on – cardie off!! Two weeks and I’m off on me holls in gloriously hot Sicily, woo hoo. Before that though it’s still project doggy proof the garden and my personal get fit campaign and both are progressing nicely. We visited the fur baby (still no name) at the weekend and he’s grown a bit. He spends alot of time outside with his brothers and sisters in the sunshine which is great. Meanwhile I’ve been steadily getting stronger at the hill climb on my mountain bike and pushing myself to go ever higher and I’m happy to say it’s paying off. The morning views are the best. 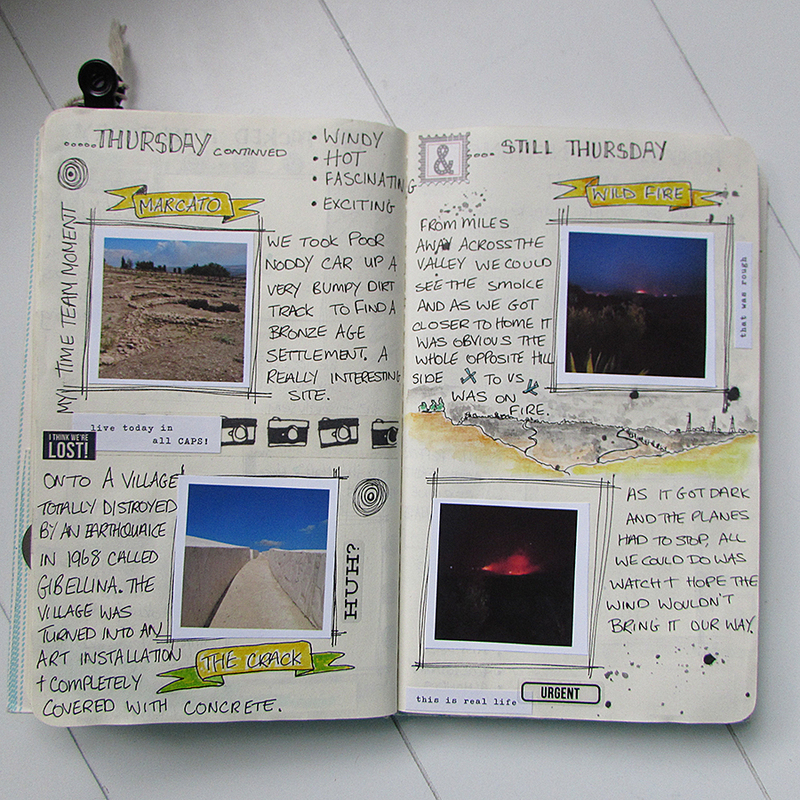 Anyway, back to the studio and I’ve really caught the travellers notebook bug. 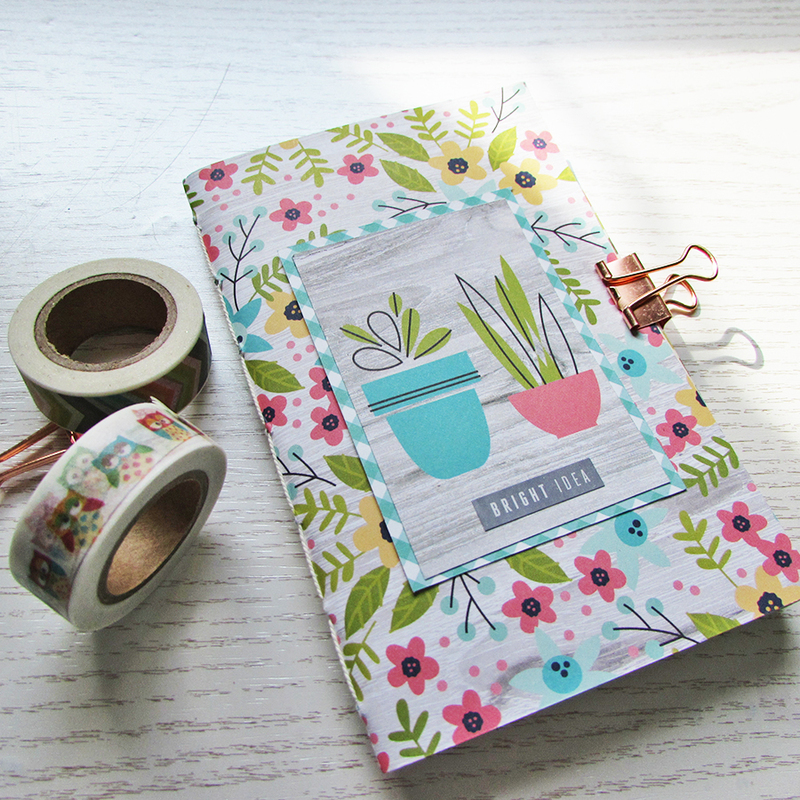 I’m not much of a planner person but I’m loving the fauxdori style planner keeping and the best thing is making my own cover and inserts to suit my style.